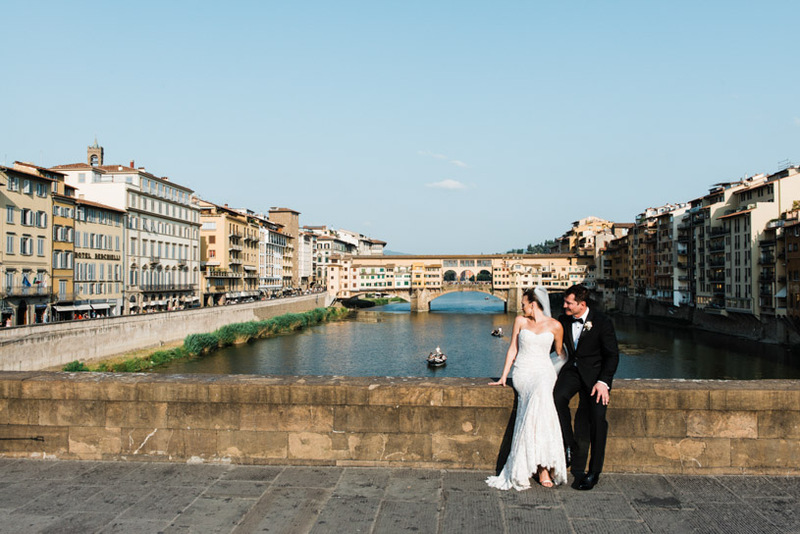 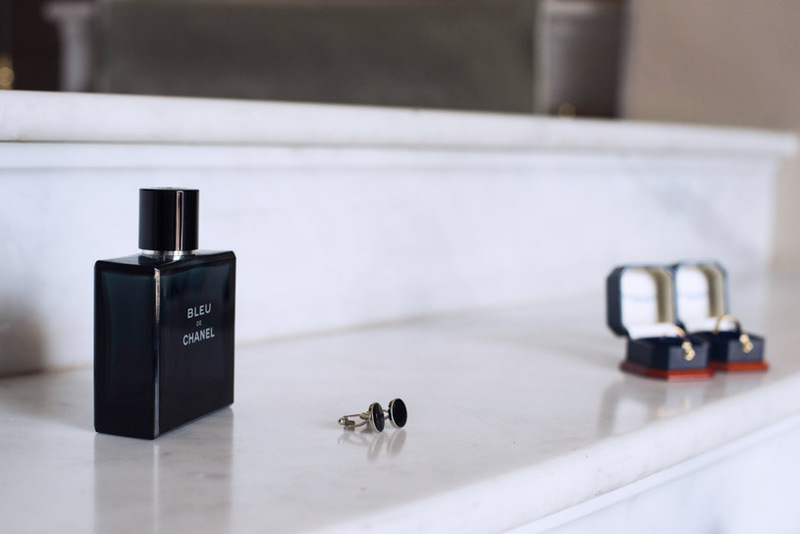 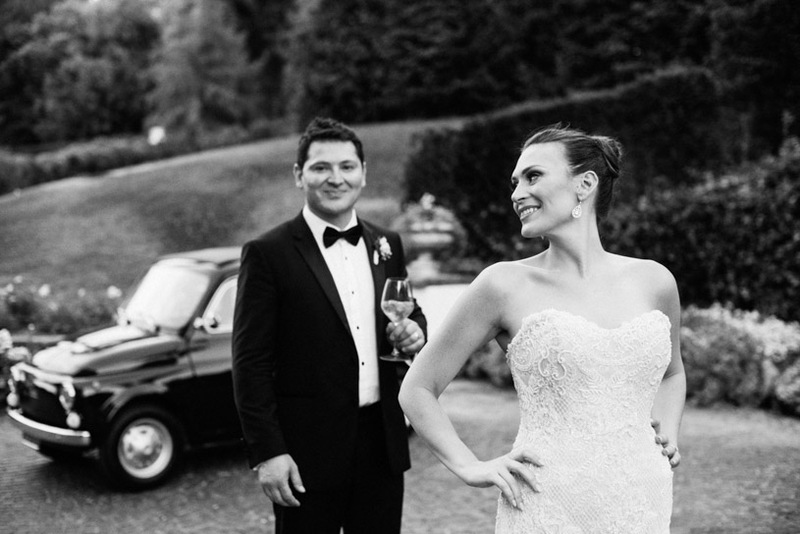 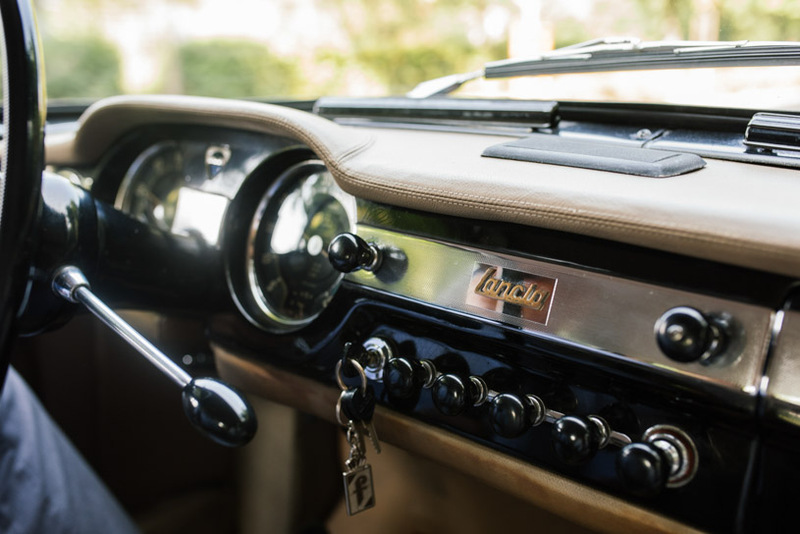 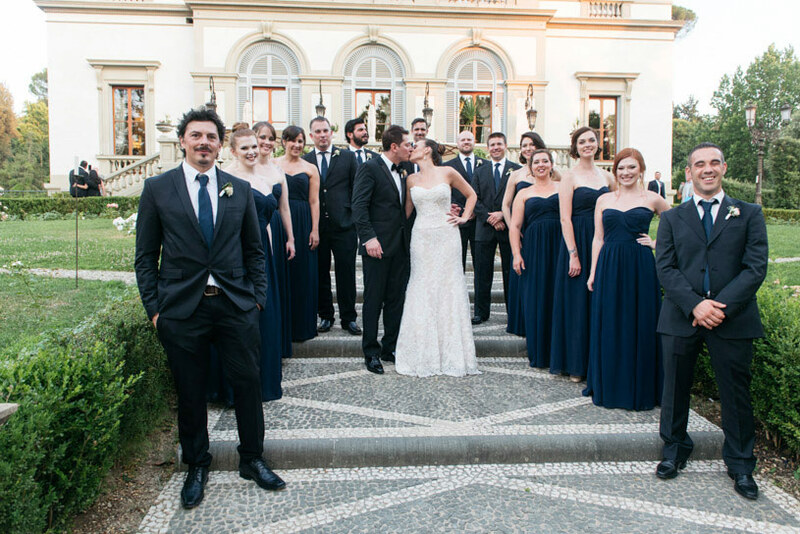 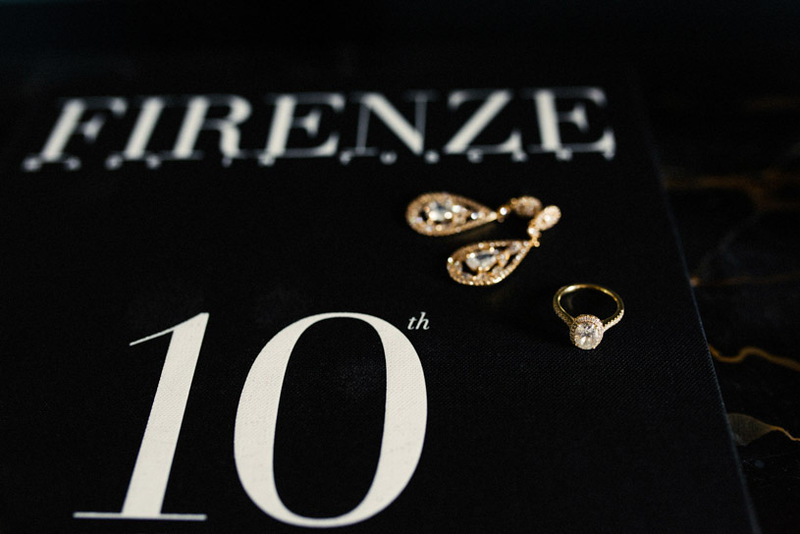 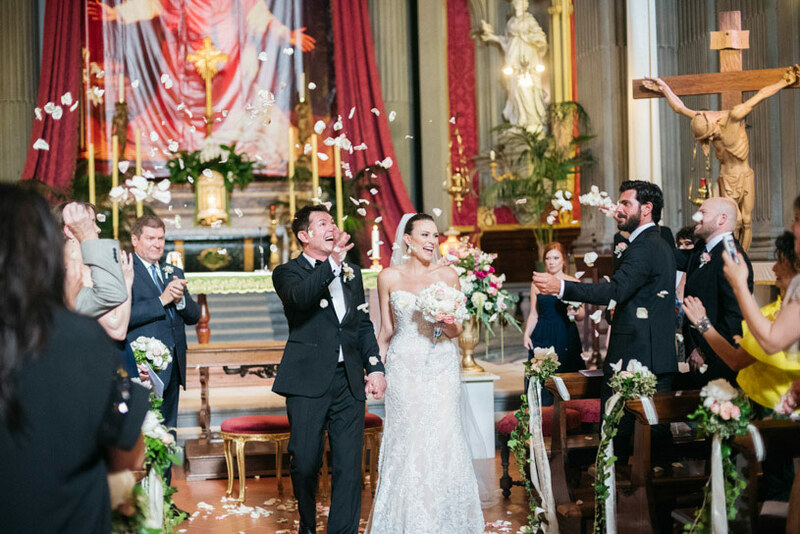 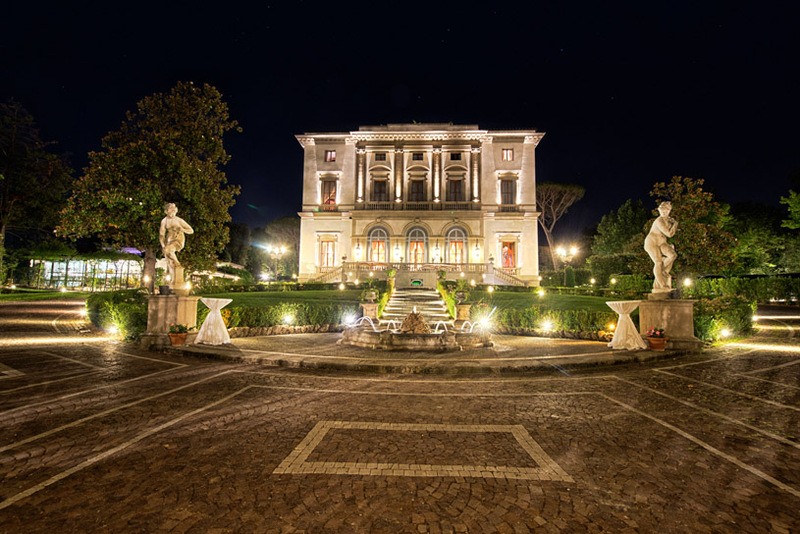 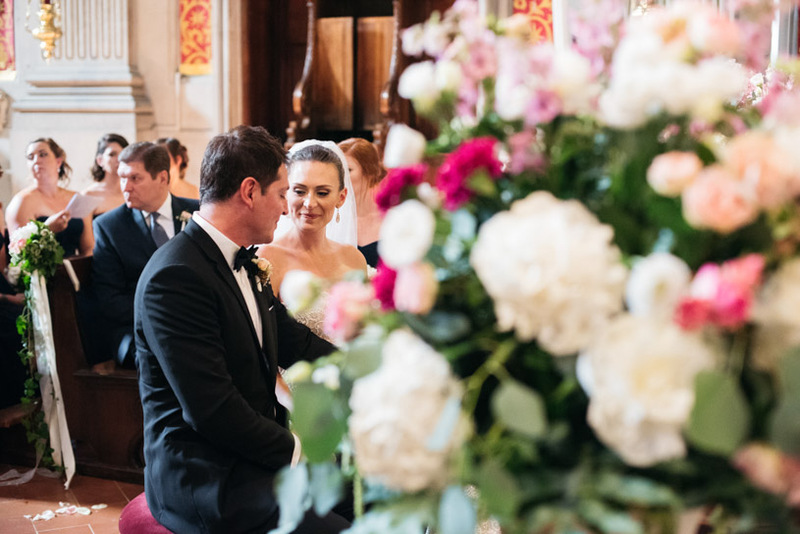 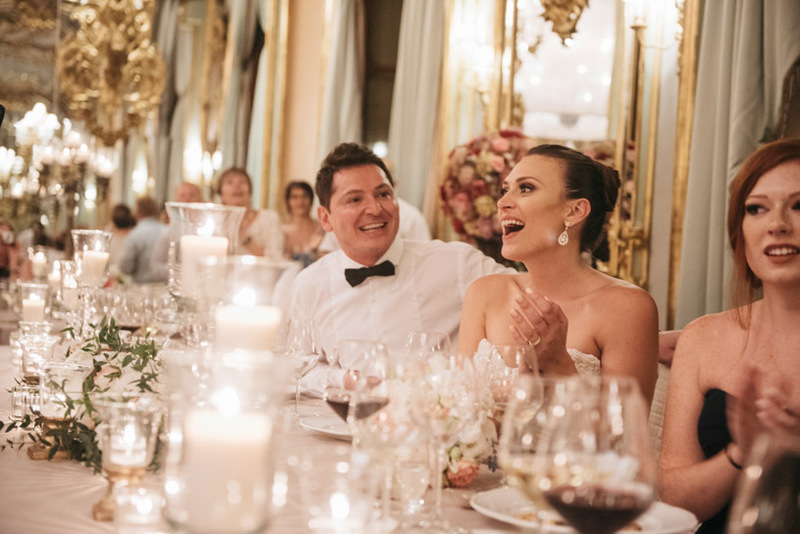 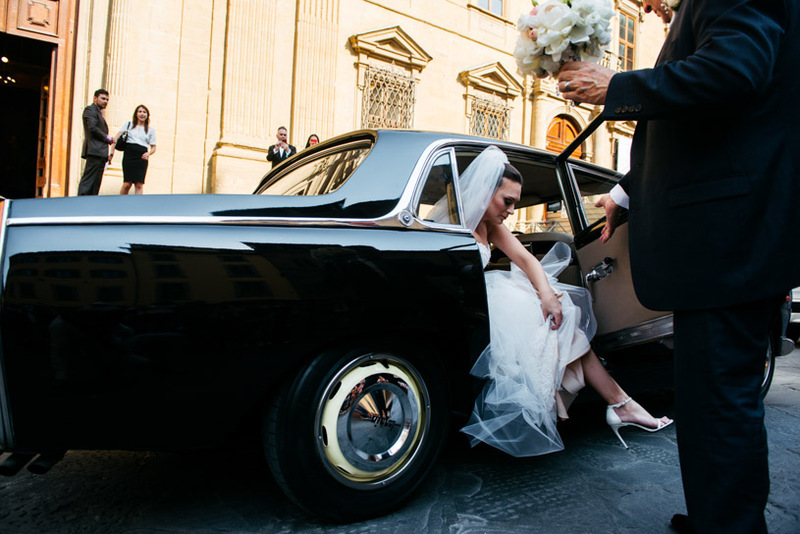 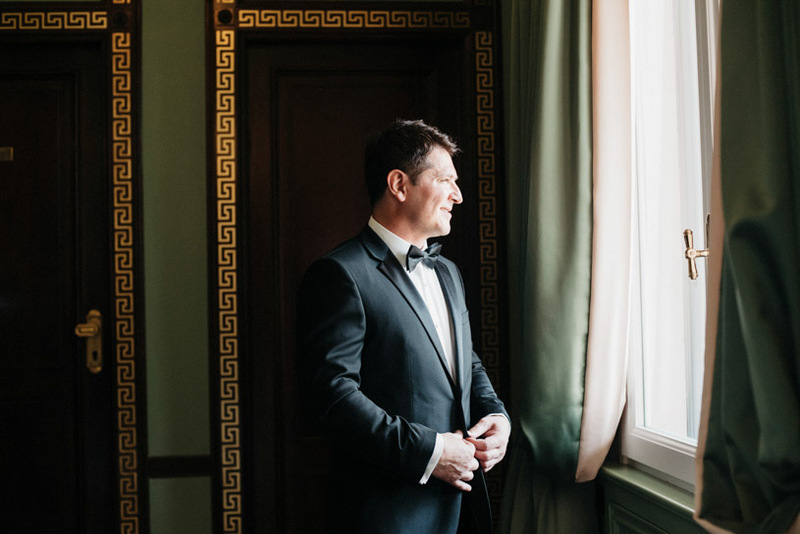 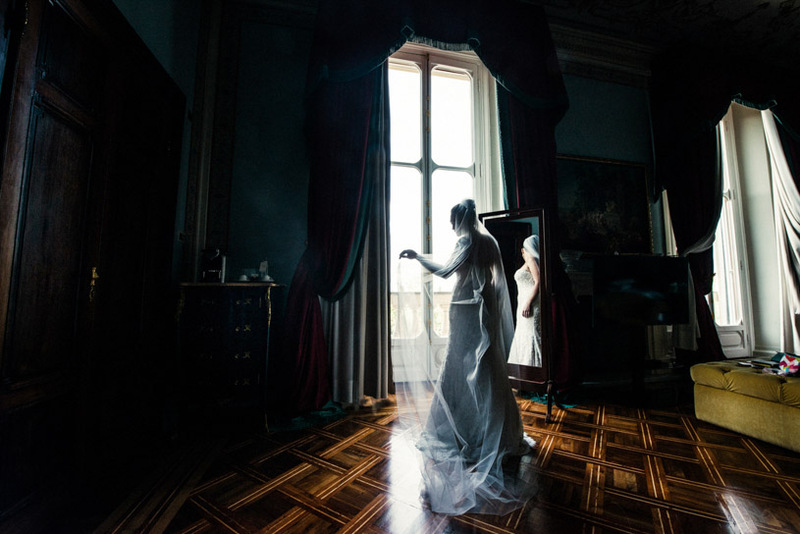 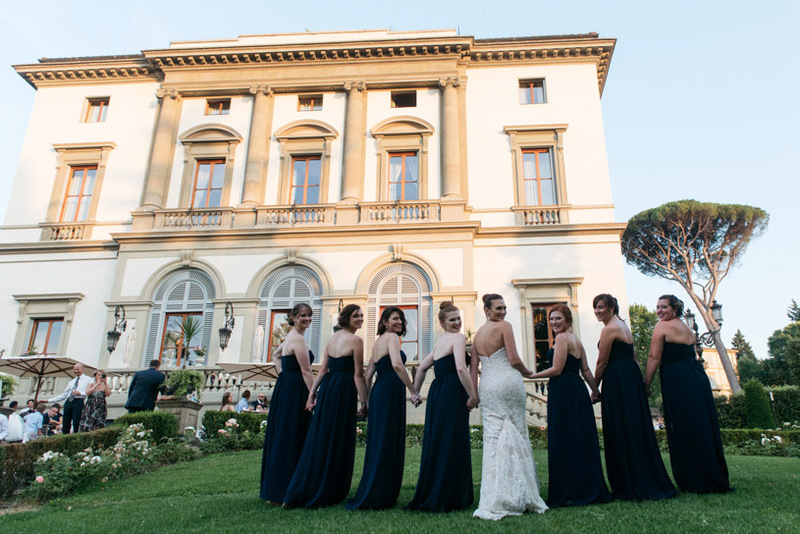 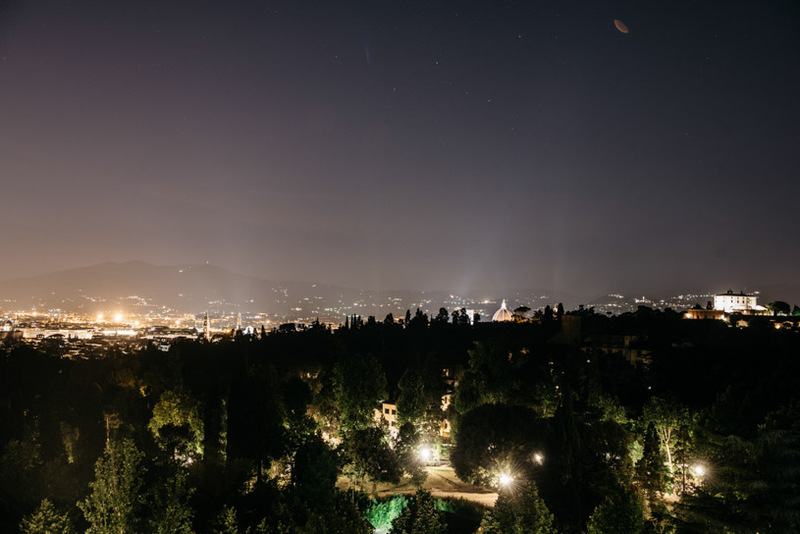 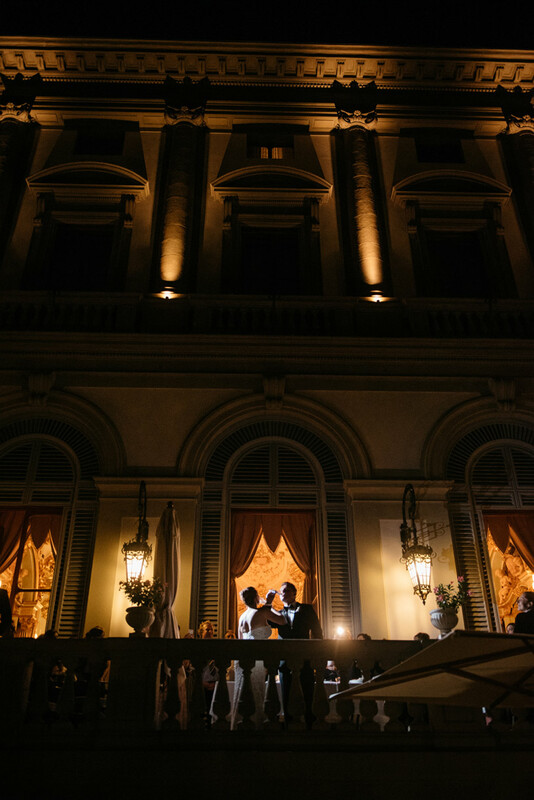 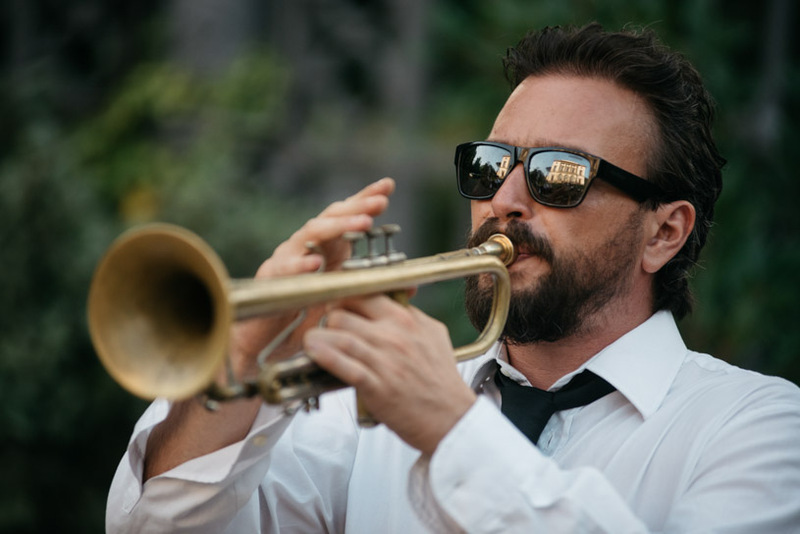 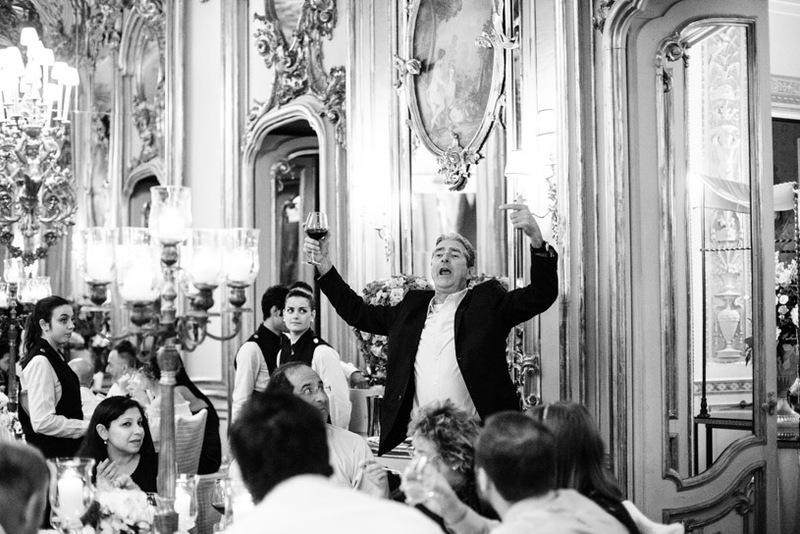 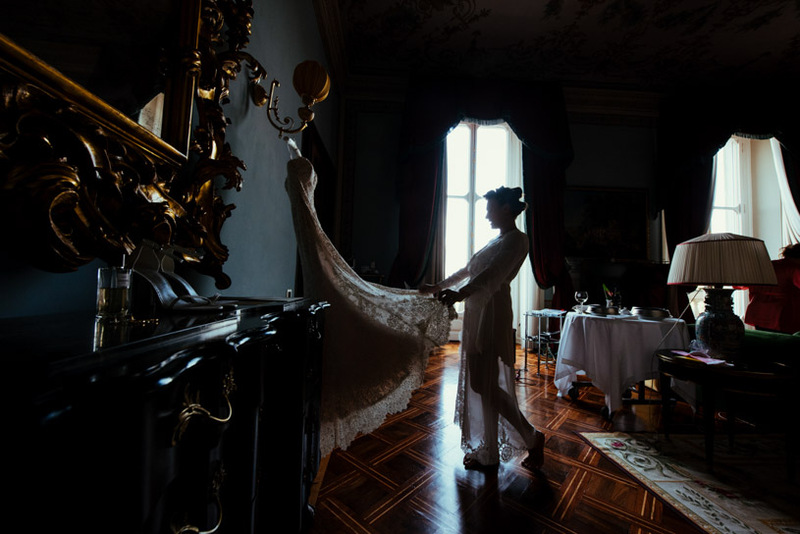 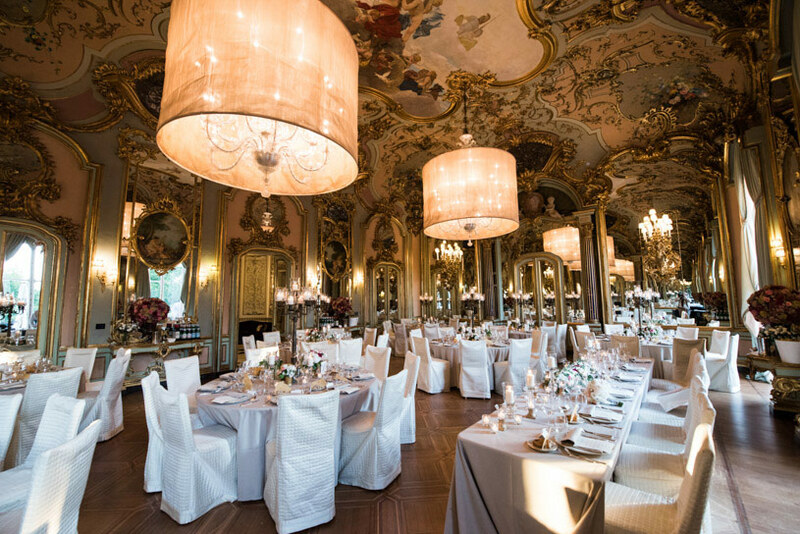 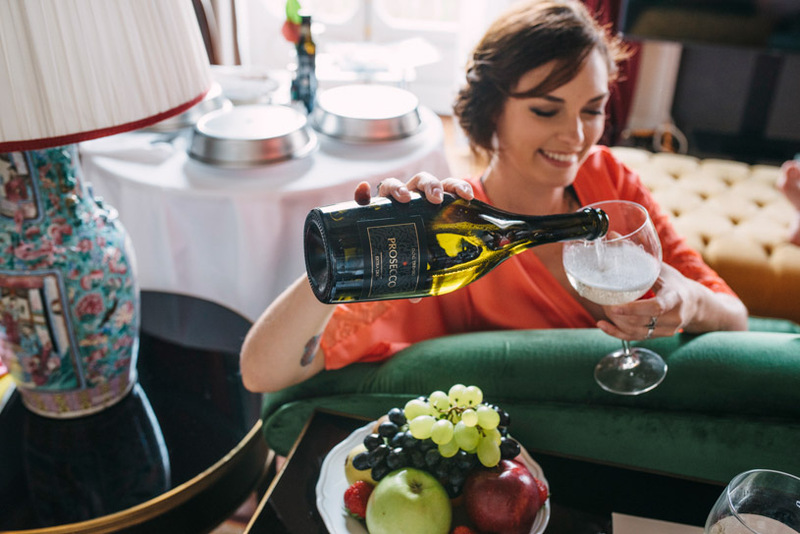 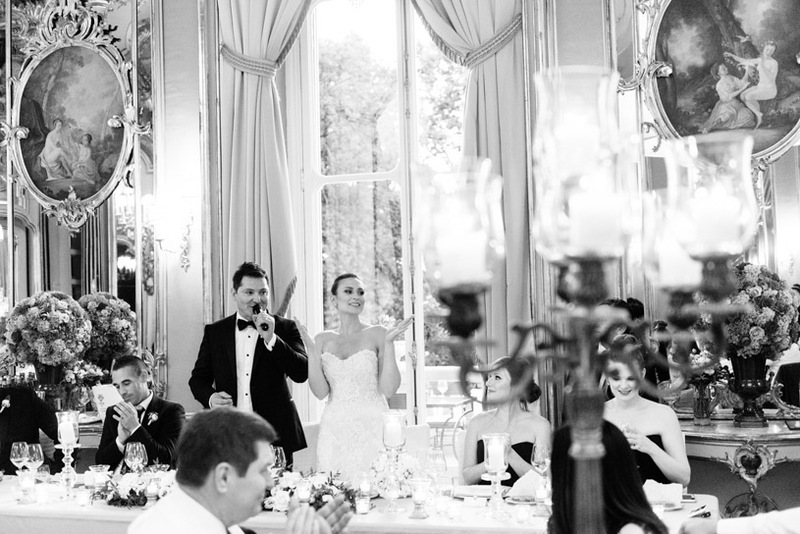 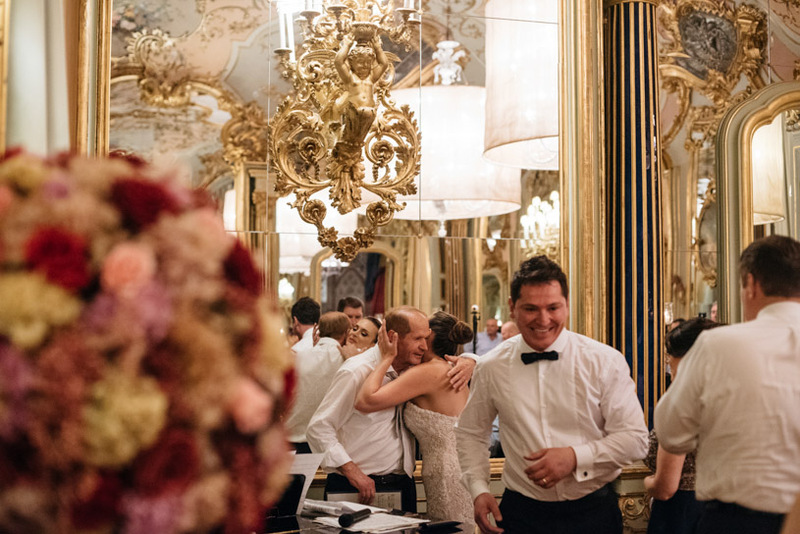 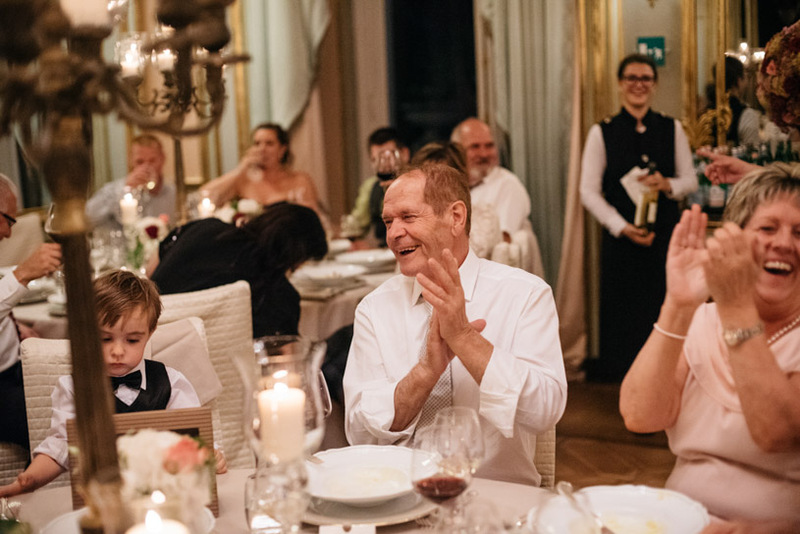 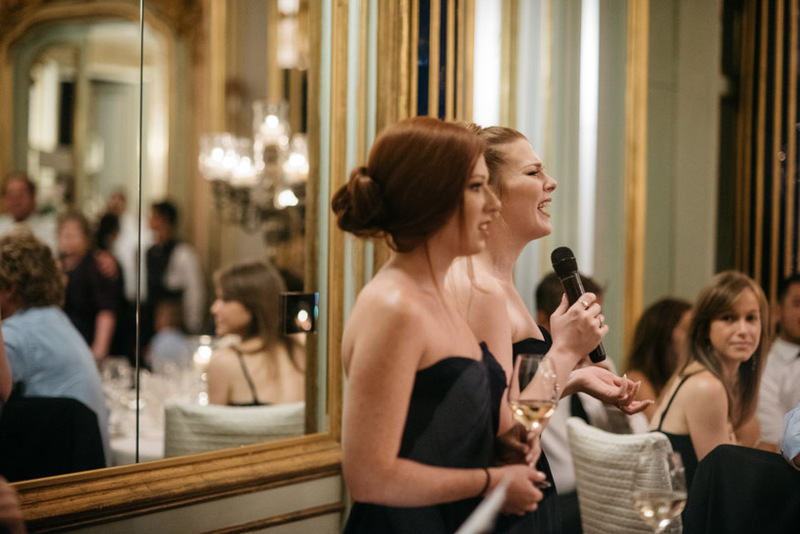 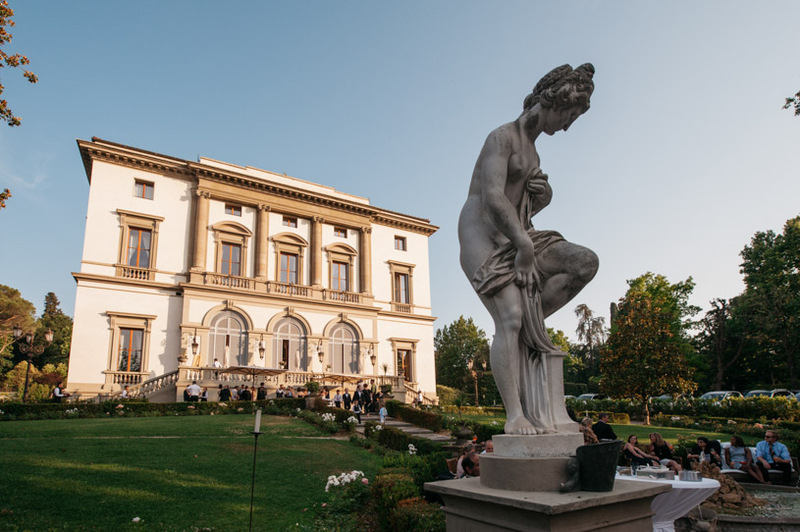 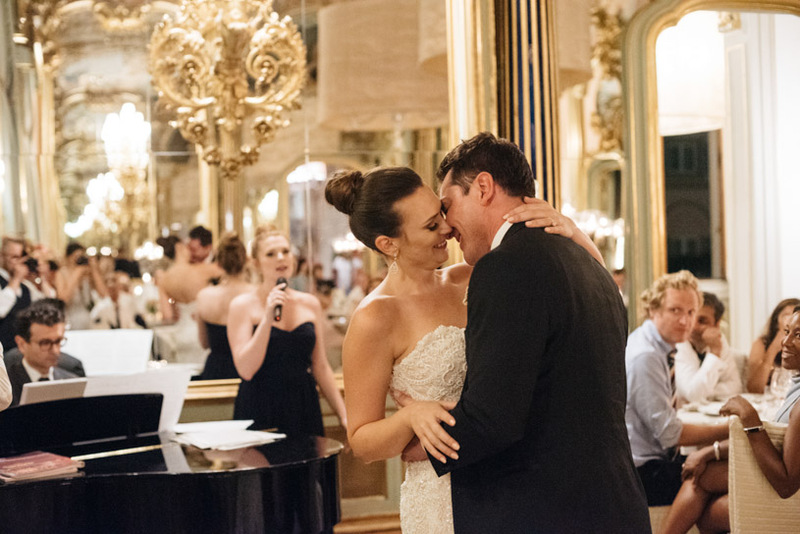 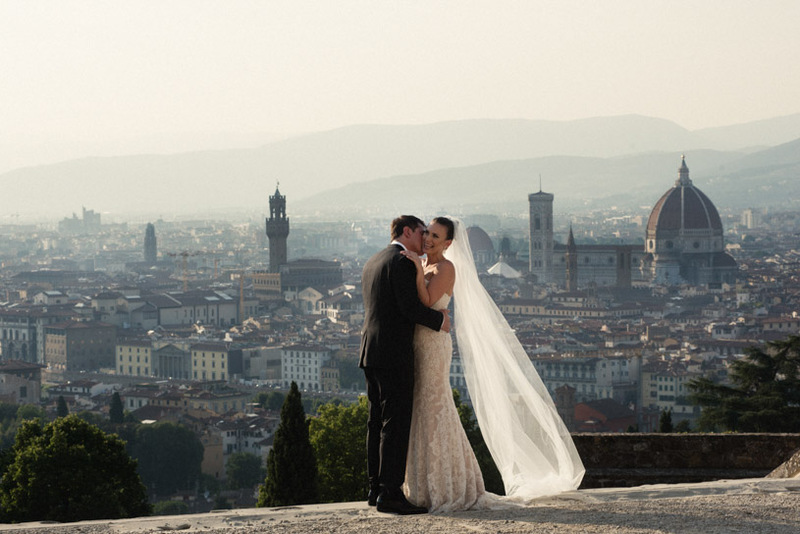 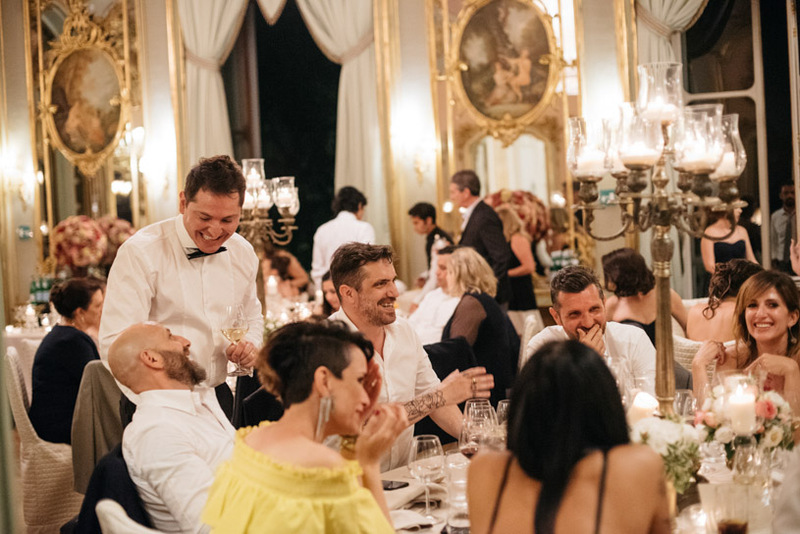 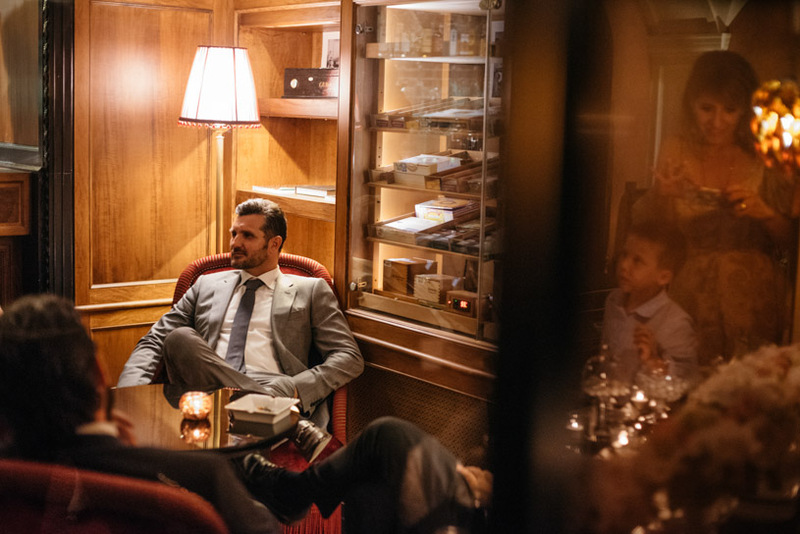 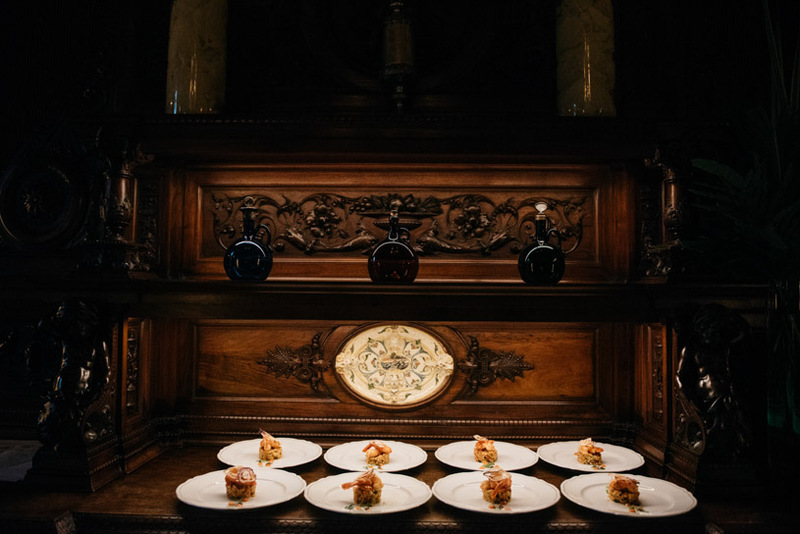 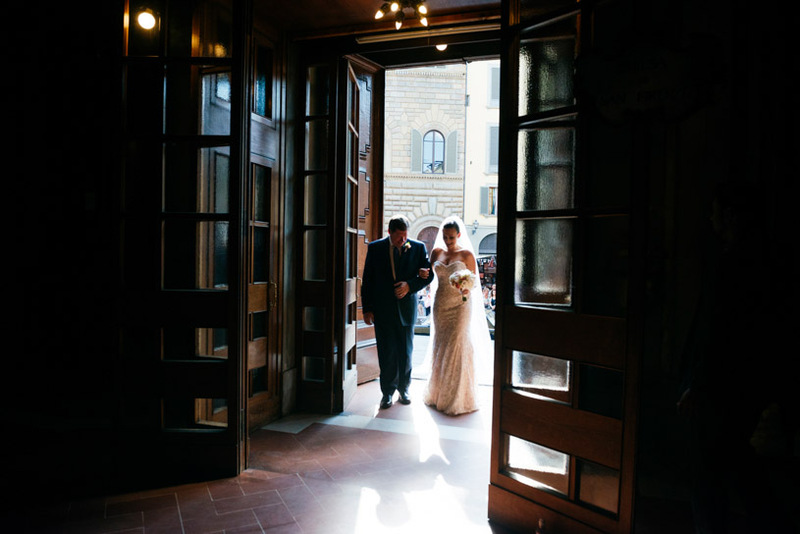 For those of you who love the finest things in life, here it comes this sophisticated wedding in Villa Cora, a luxury five star residence overlooking Florence. 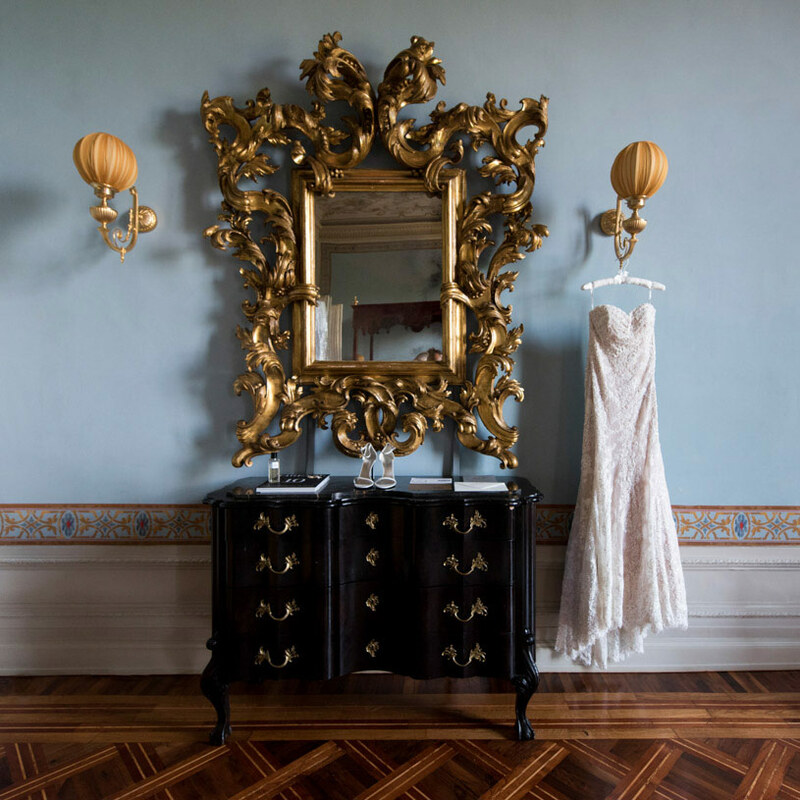 Thanks to its gold fancy furniture dating back to XIX century and the dominating position that overlooks Boboli Gardens just few miles aways from Florence heart , Villa Cora has been considered for many years one of the most breathtaking residence of Florence, chosen since early XIX by famous people as Tchaikovsky, Princess Eugenia, Grace Kelly and Madame Debussy. 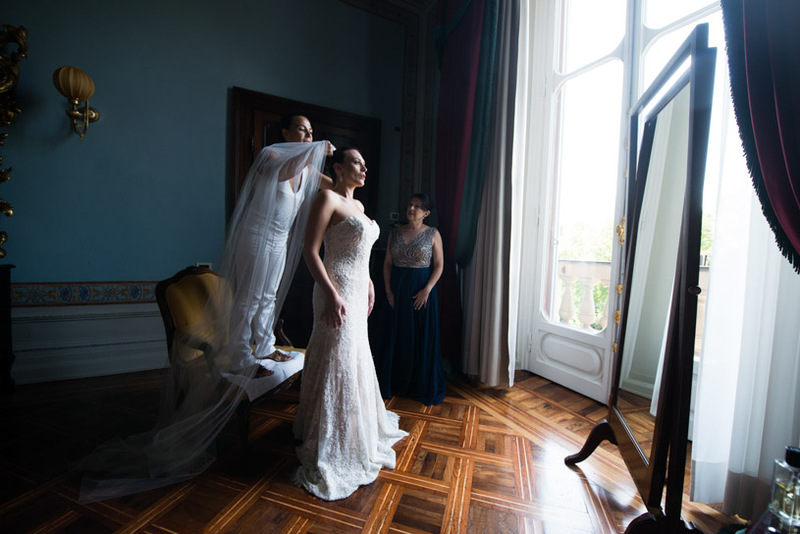 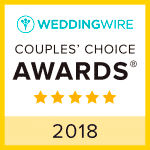 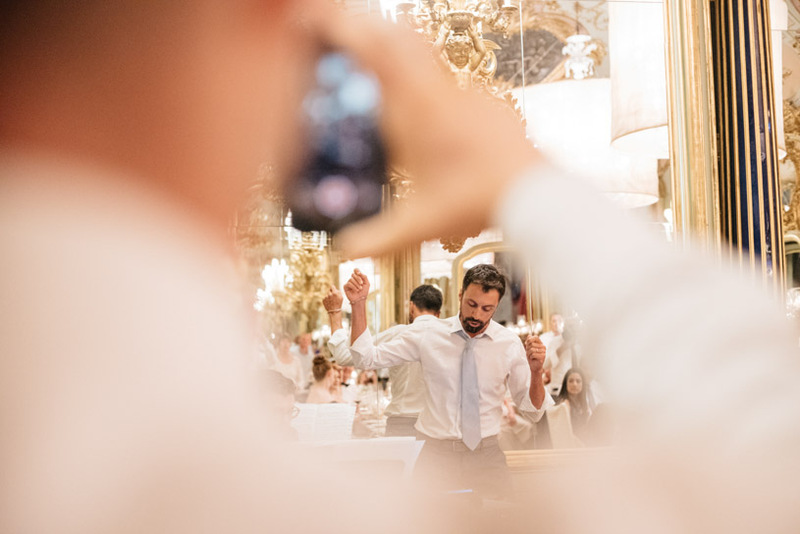 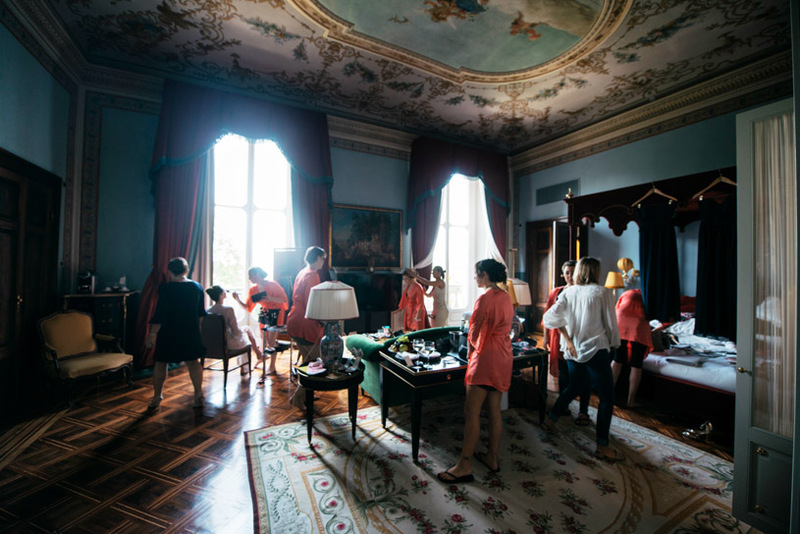 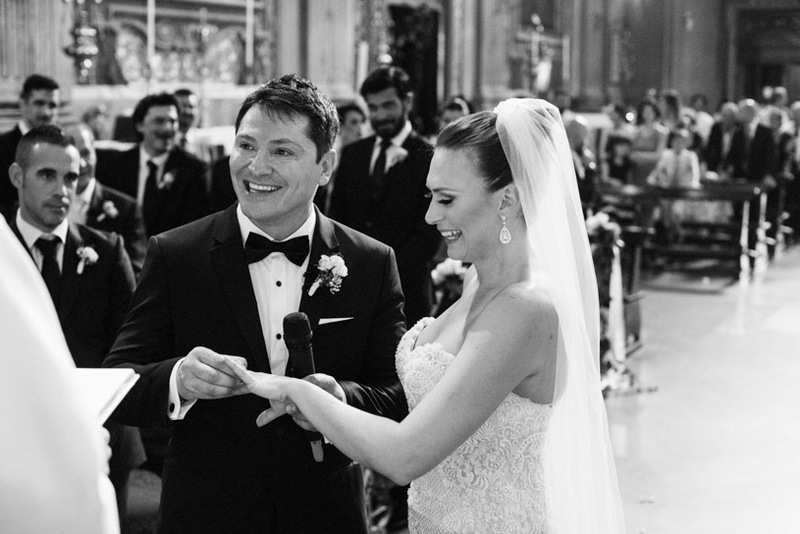 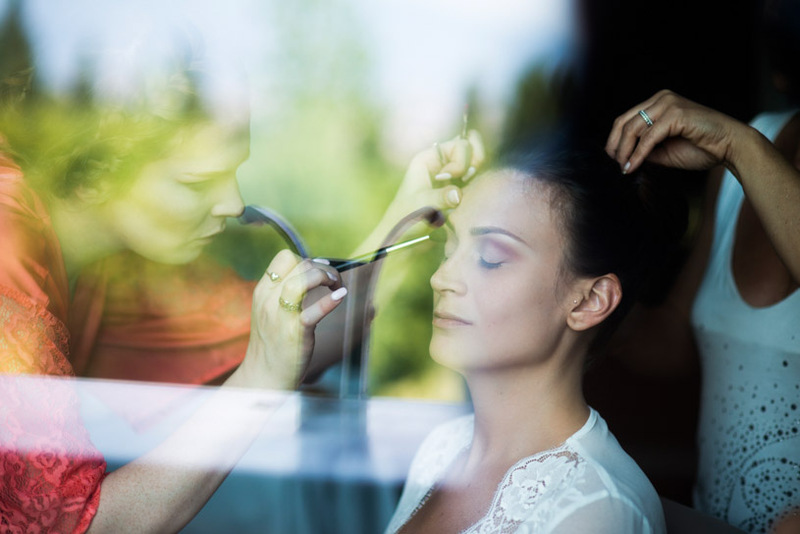 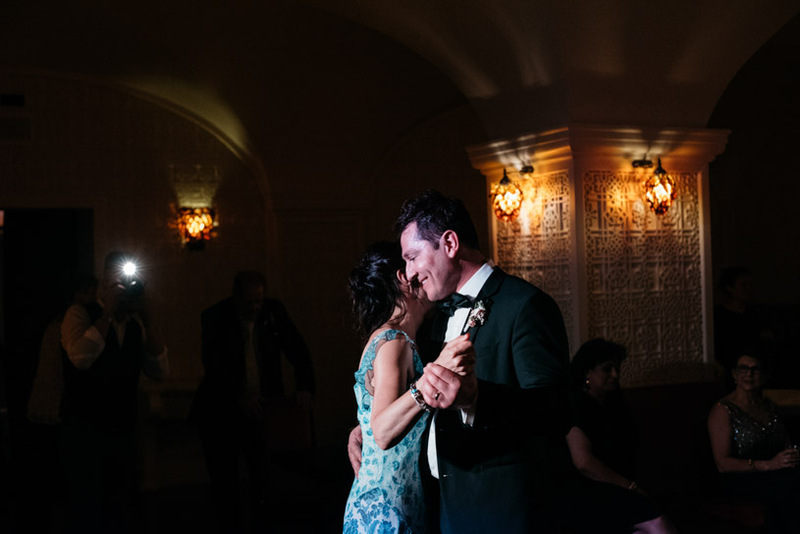 Christin and Massimiliano are a classy Italo-american couple from Texas and thanks to Glam Events in Tuscany wedding planner, they have chosen us as wedding photographers in Villa Cora, Florence. 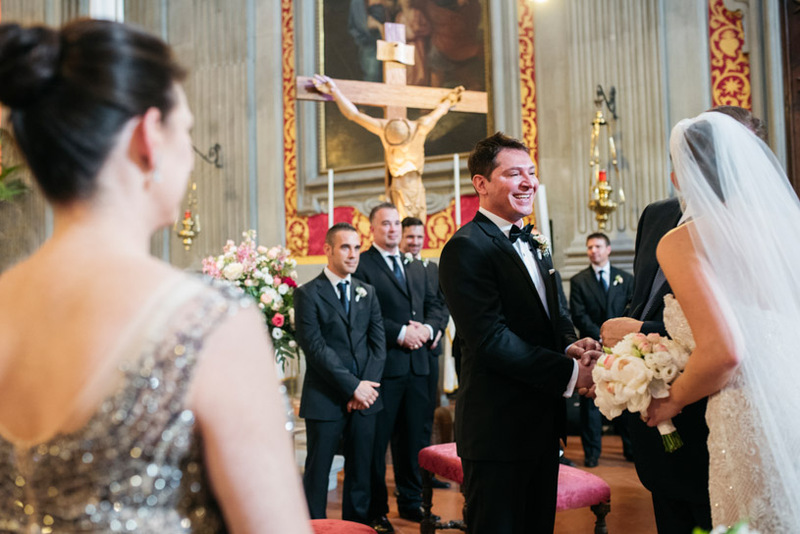 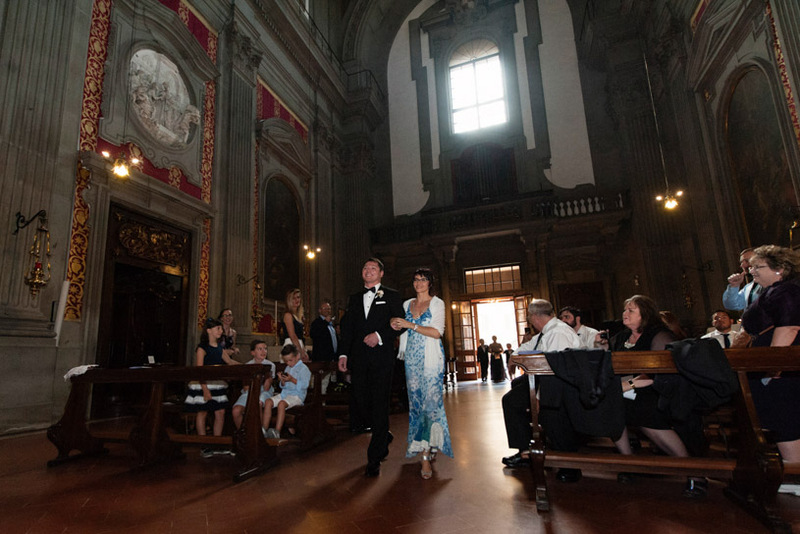 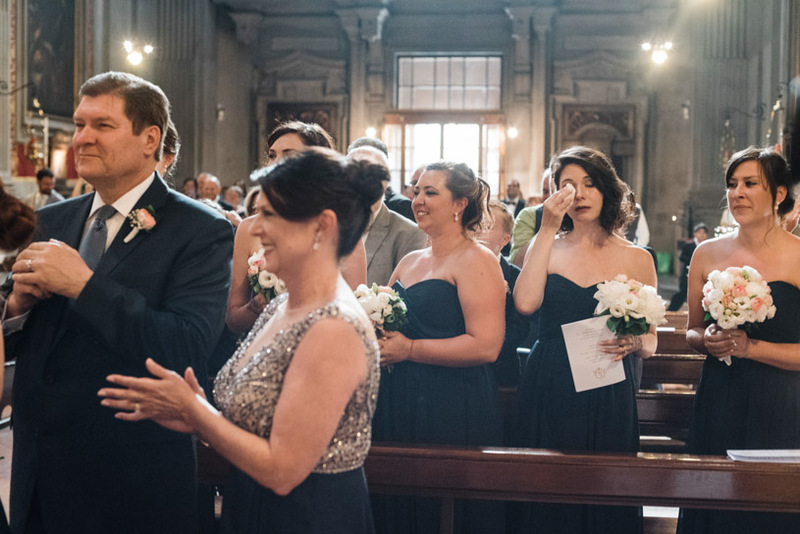 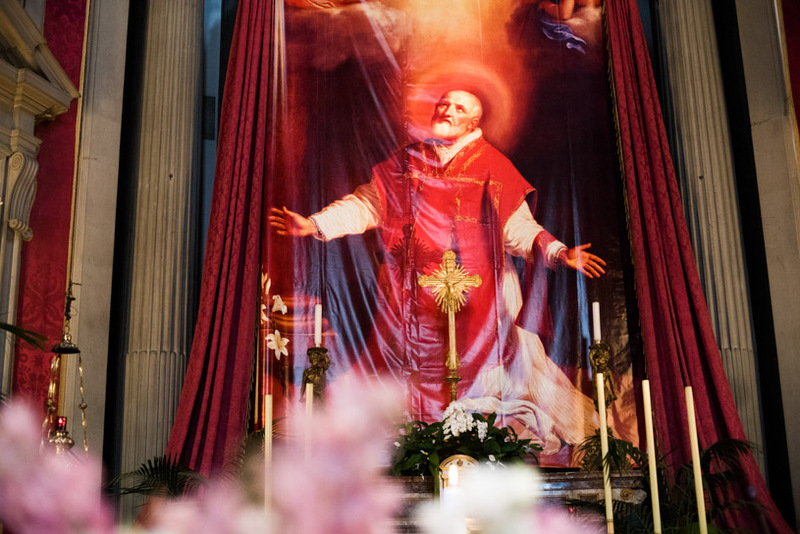 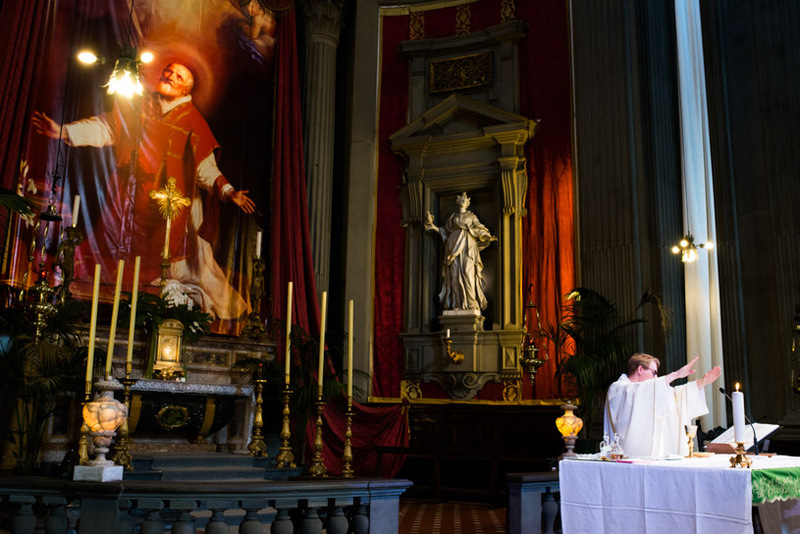 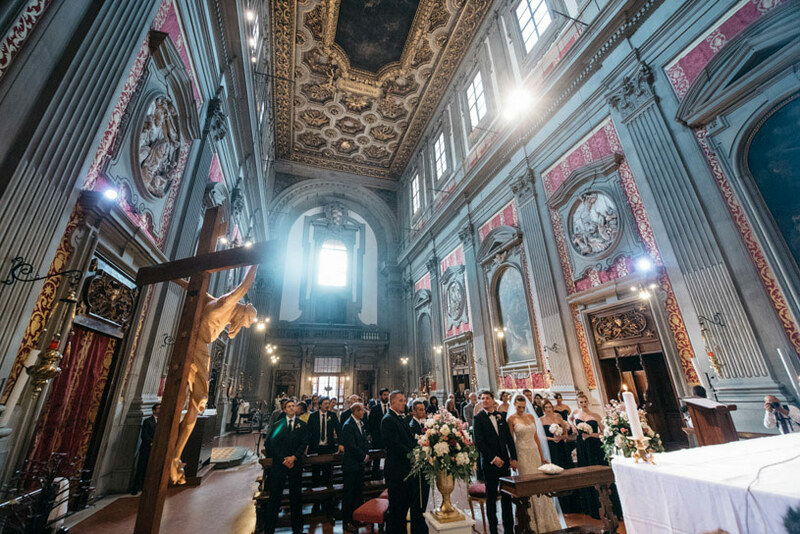 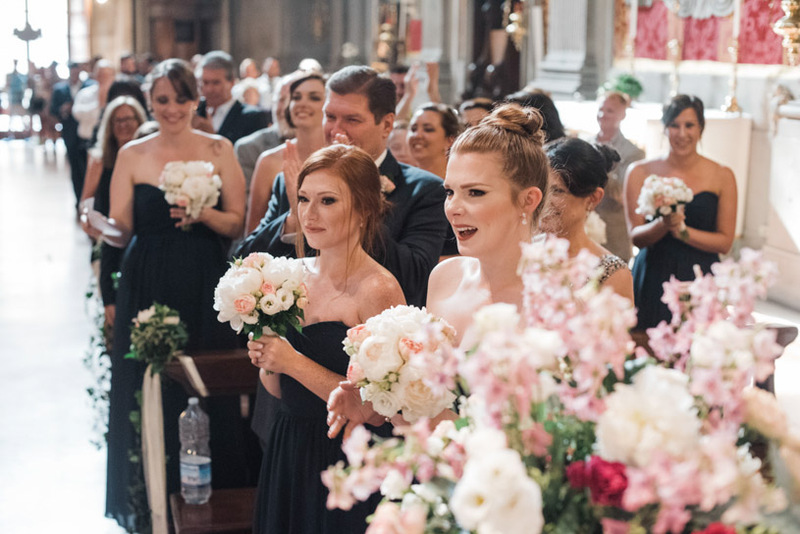 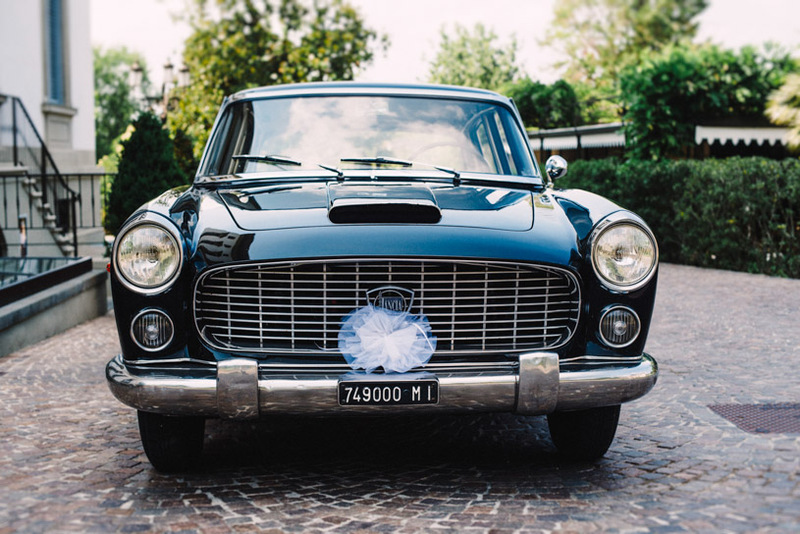 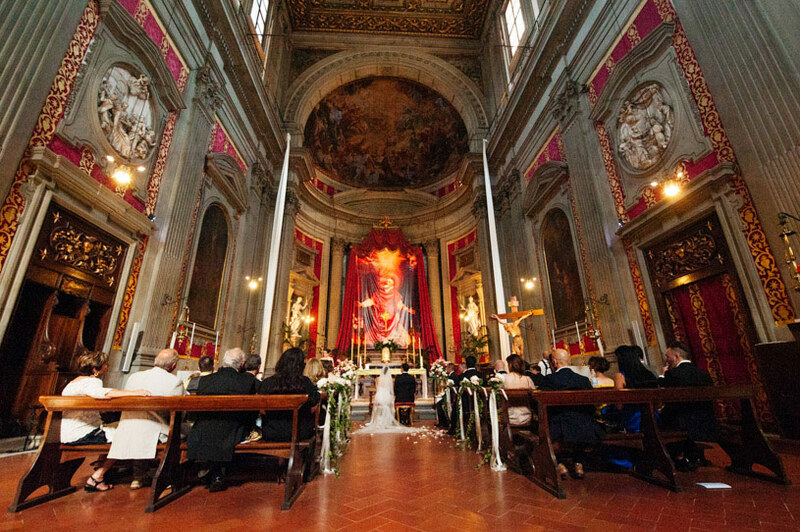 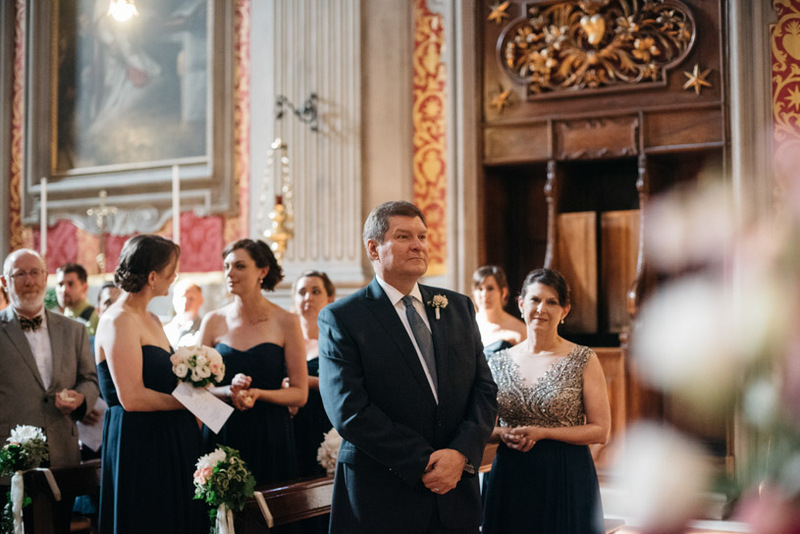 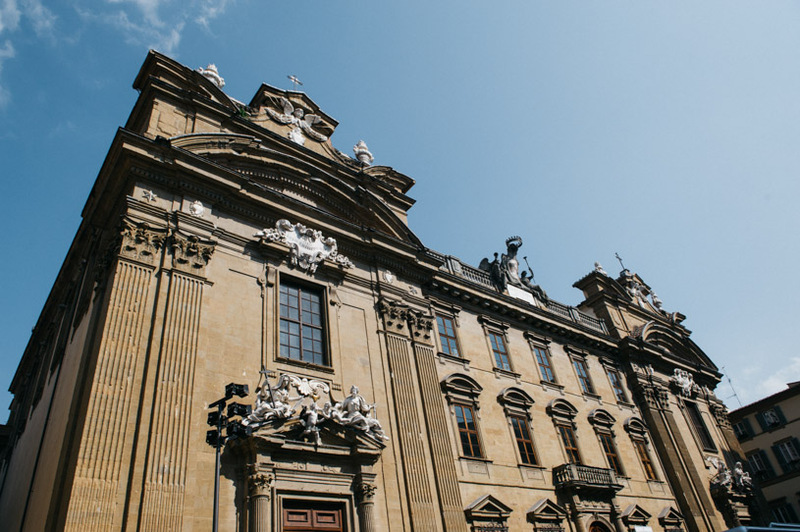 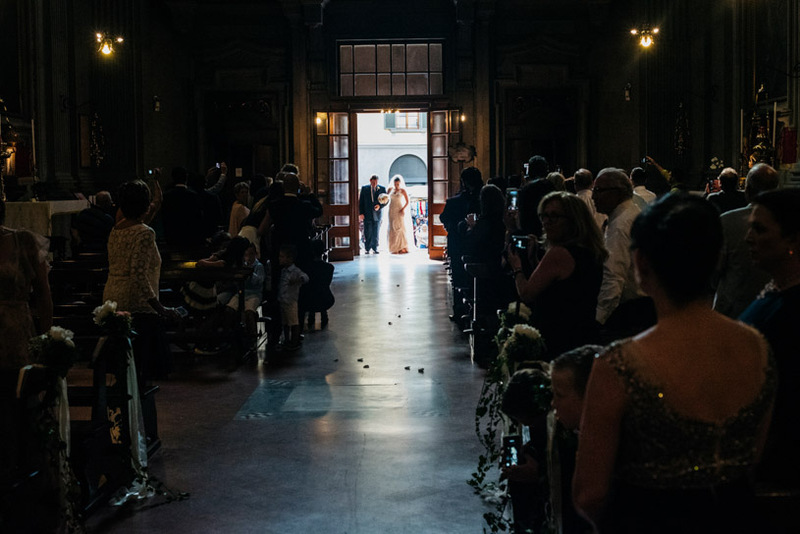 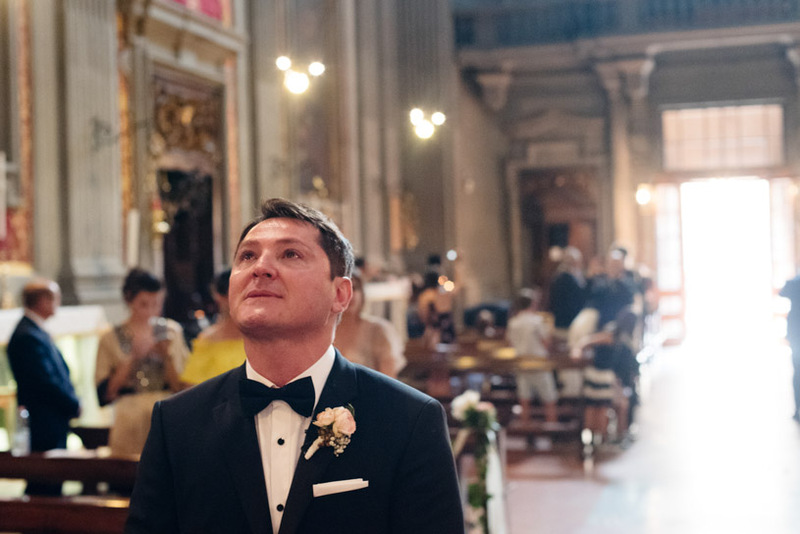 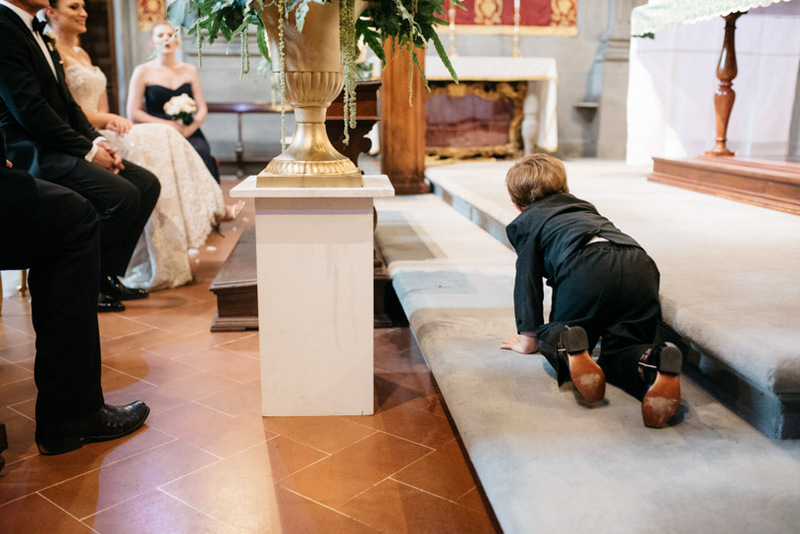 The preparations and the reception took place inside the Villa and the religious ceremony was in San Filippo Neri Church, located in the main area of this Italian beauty. 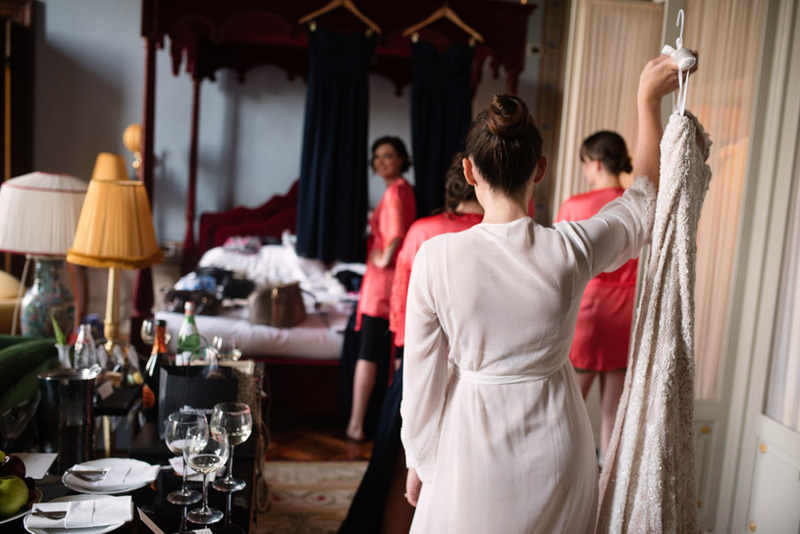 Christin got ready in the Imperial Suite of Villa Cora “Akihito” inspired by the Japaneese Emperor, guest of the hotel during an official visit in Italy. 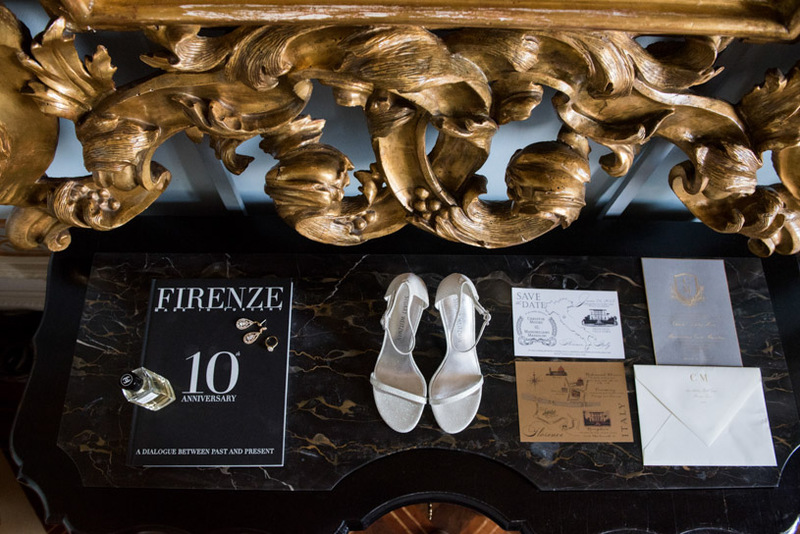 The suite in the “Noble Floor” boasts original frescos of Pietrasanta and Samoggia and one of the most stunning views of the residence is just outside the three huge windows. 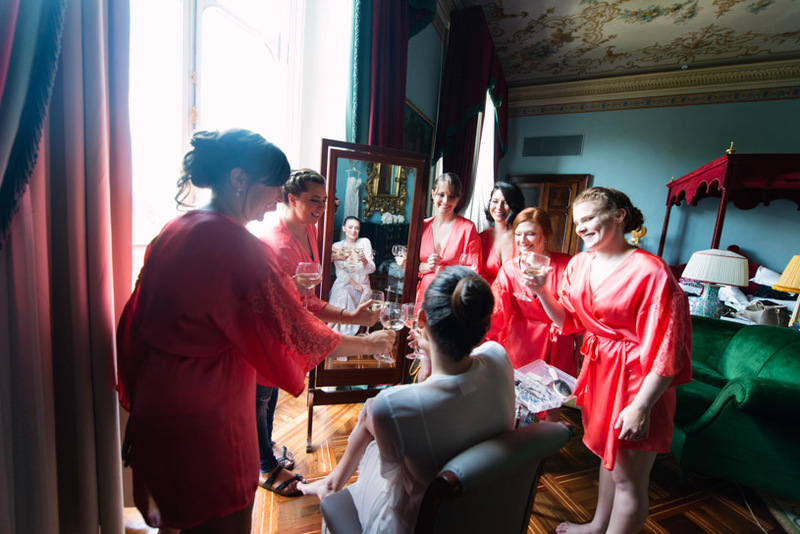 Together with her bridesmaids and maid of honors all dressed up in a lively pink, they enjoyed the Bridal party with some glasses of Champagne. 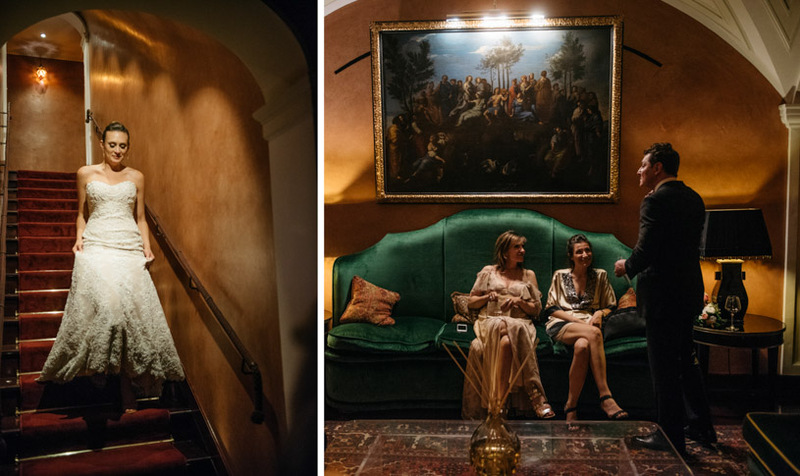 The suite was outstanding and was completely in harmony with Christin’s outfit. 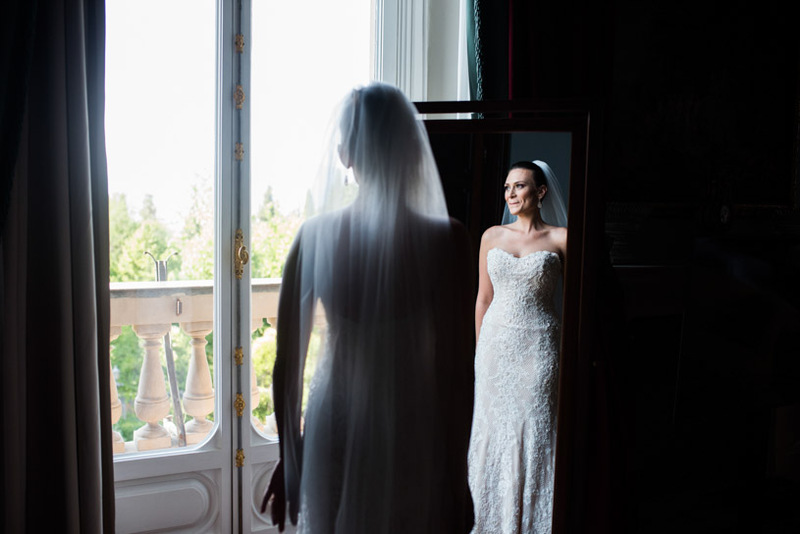 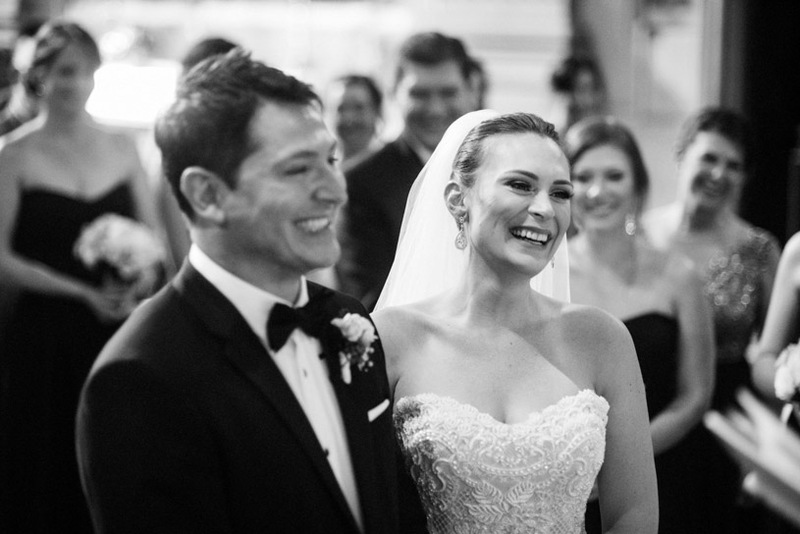 Her bridal dress was a Vera Wang creation. 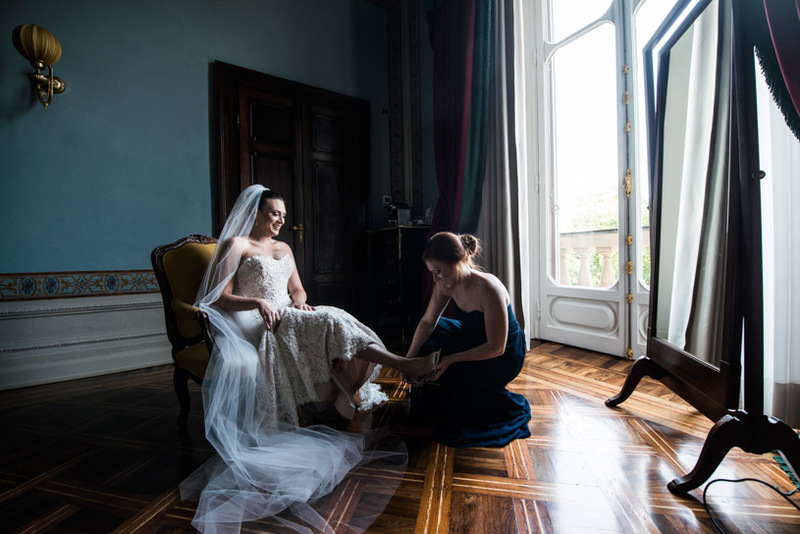 A pair of “Nudistsong sandals “ signed by the newyorker shoe designer Stuart Weizmann completed the Bride’s elegant look perfectly. 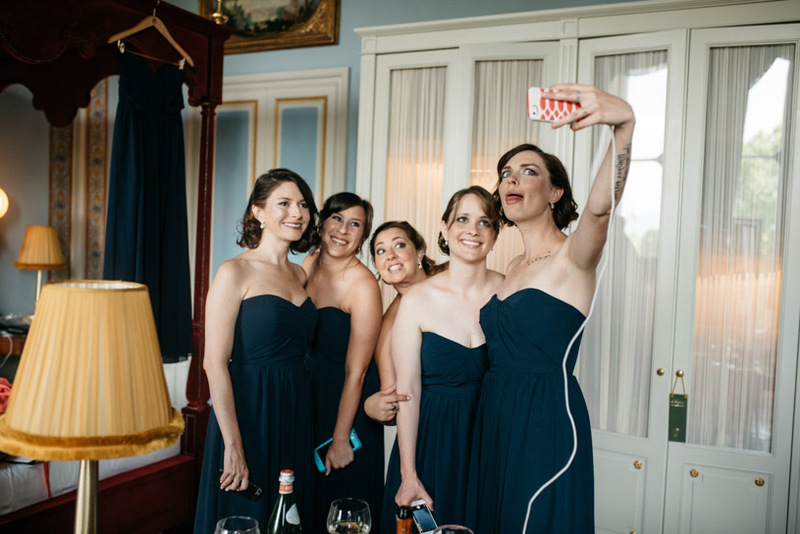 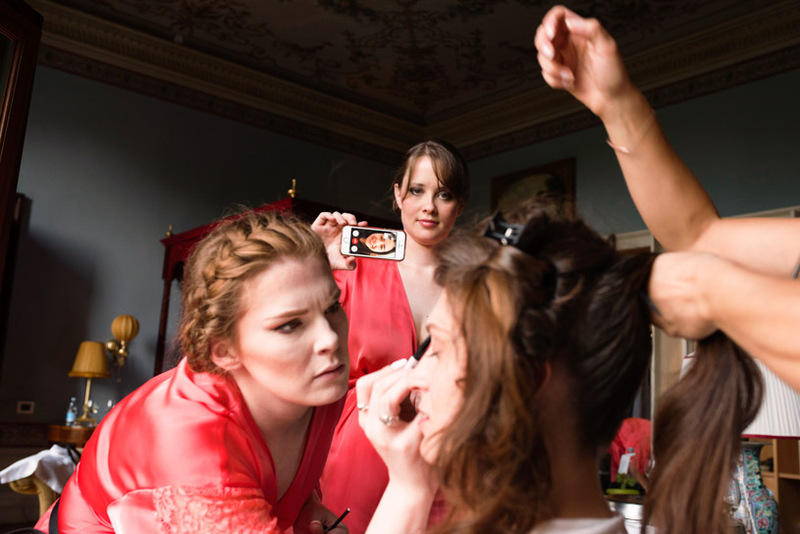 Bridesmaids were dressed in nocturne Blue. 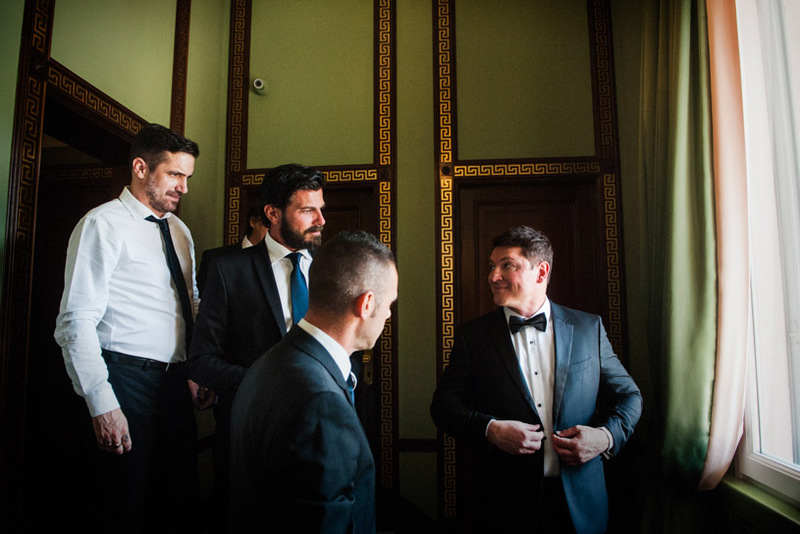 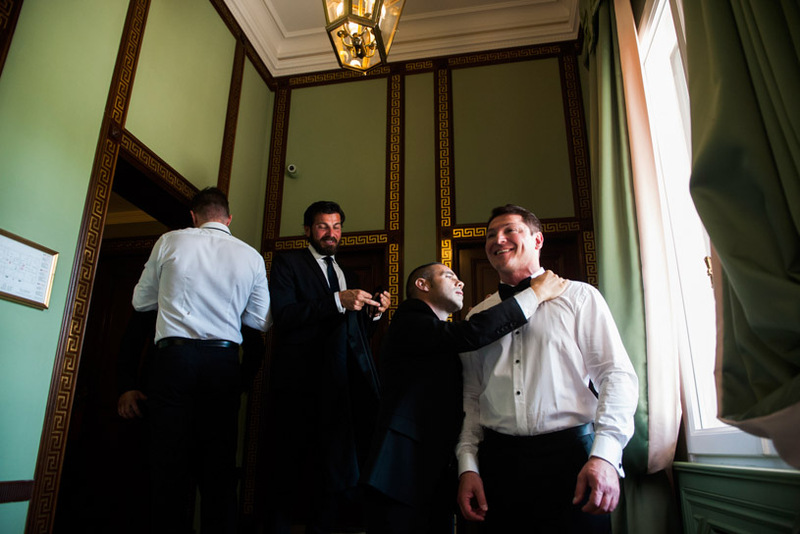 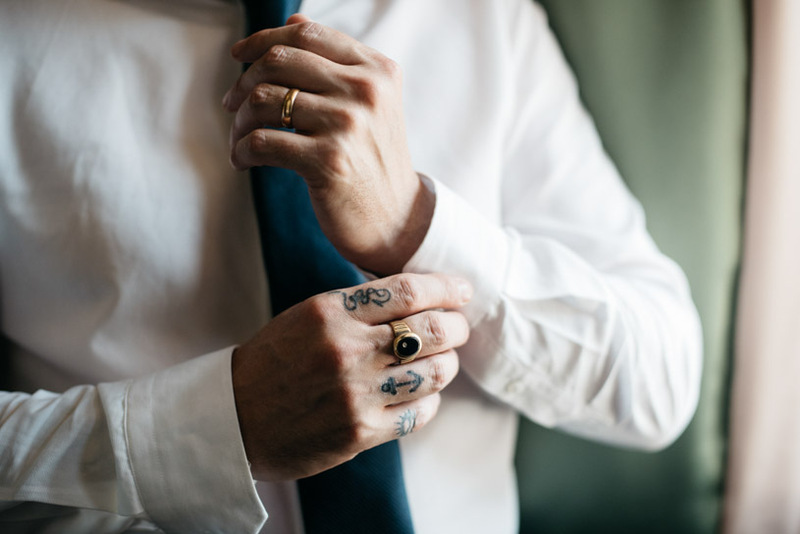 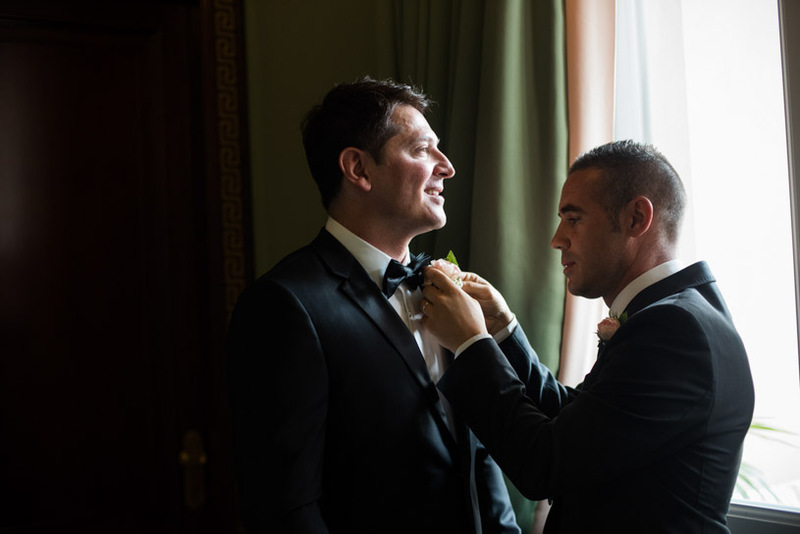 Massimiliano got ready together with his groomsman in the hotel dependance . 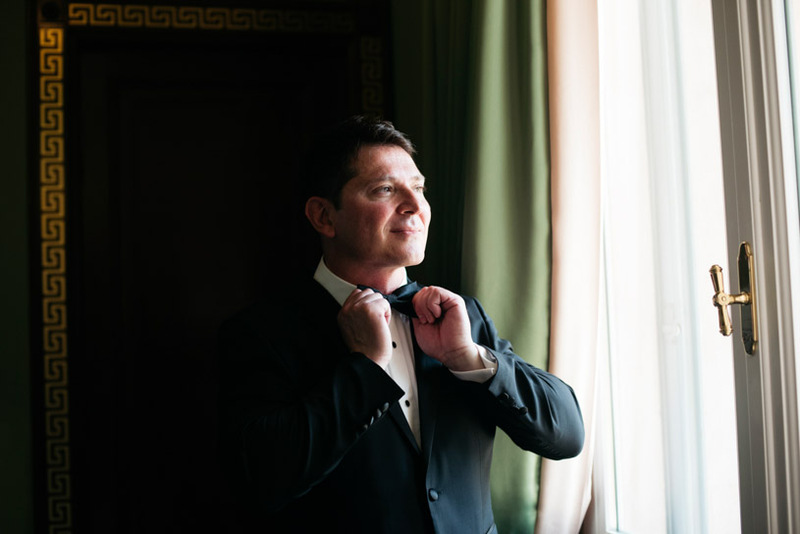 He wore an Armani black tuxedo. 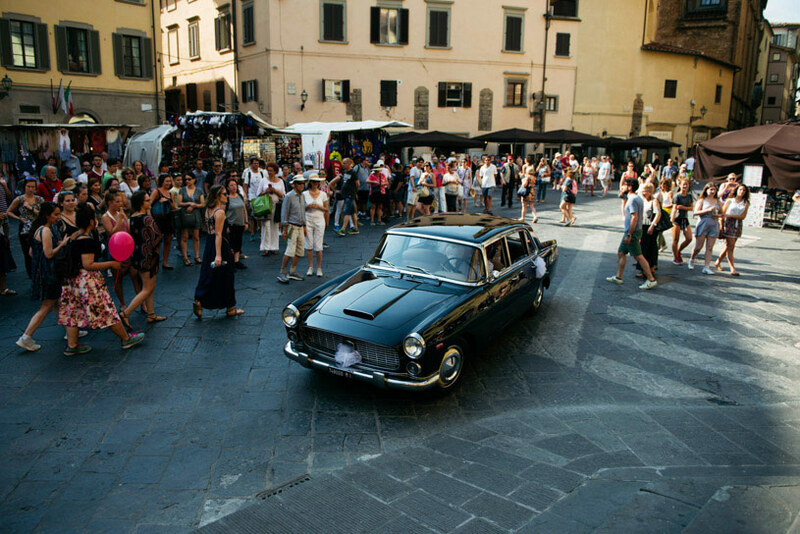 Reaching San Filippo Neri Church was a challenge, Florence was as crowded as ever because many events were planned inside the city: there was a patronal festivity, the folkloristic historic football game “Calcio Storico” and the sold-out Pearl Jam concert took place not far from the city center. 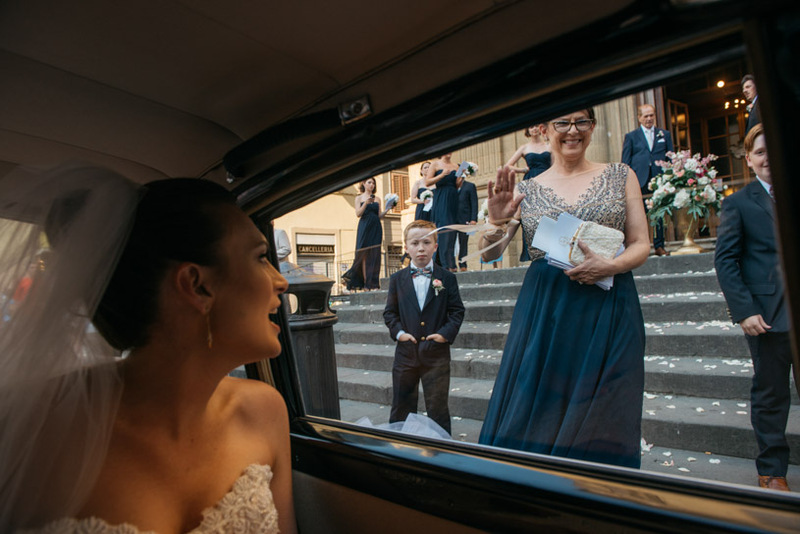 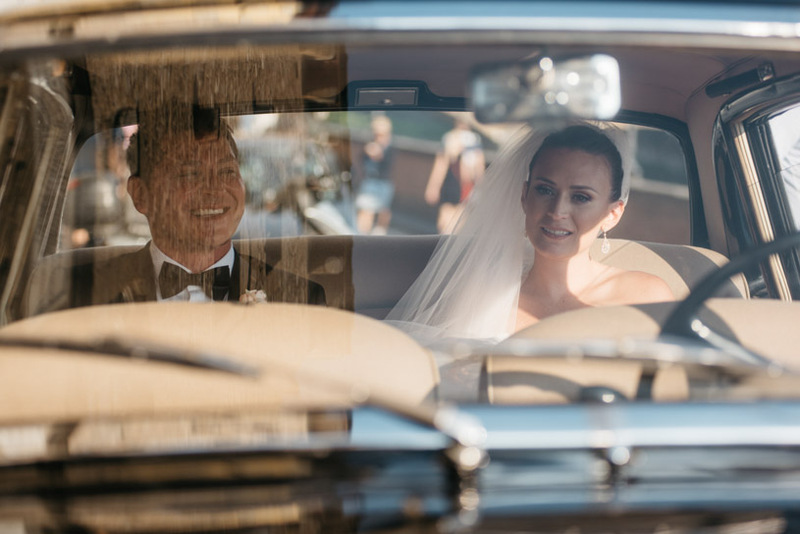 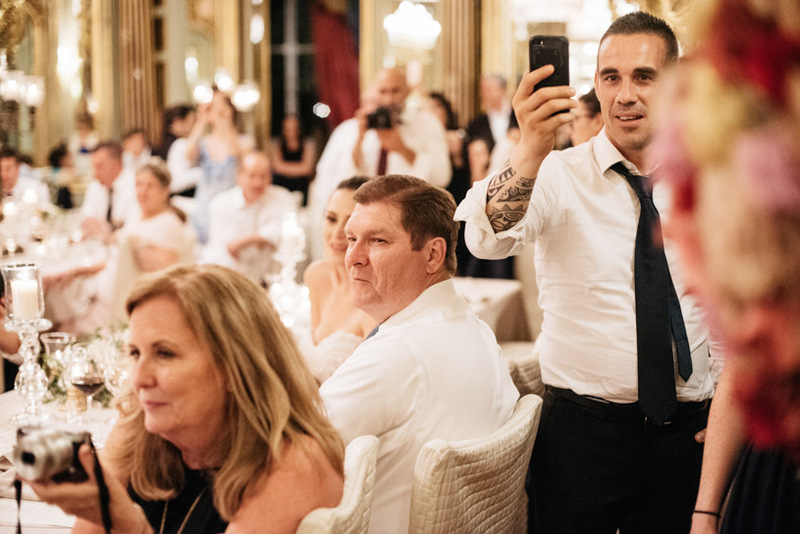 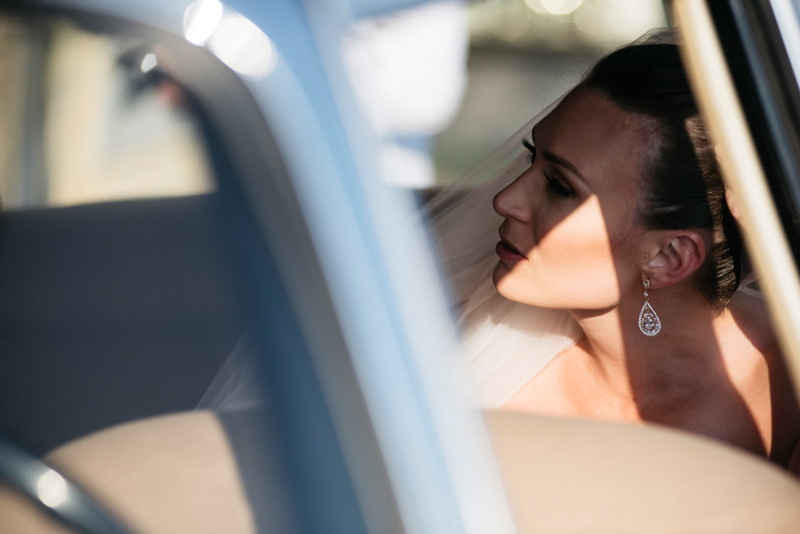 Despite all those events and the hot temperature, it felt like Christin and Massimiliano were a million miles away off the ground. 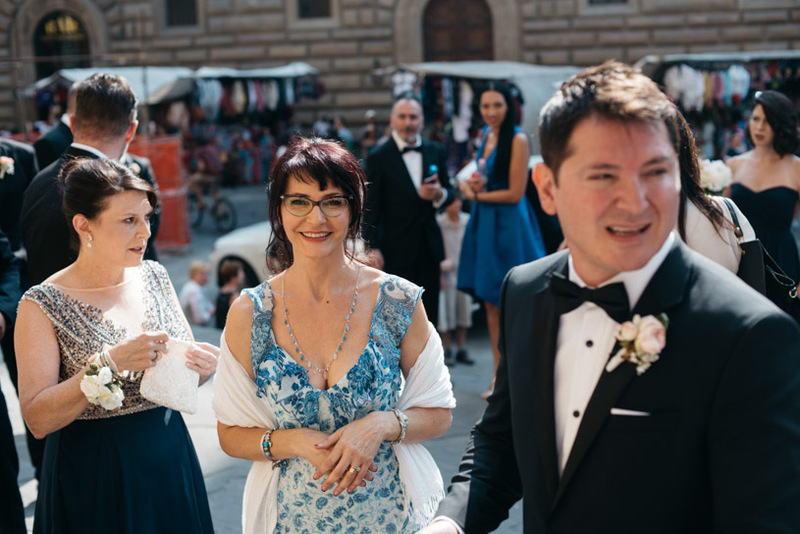 They both looked stunning. 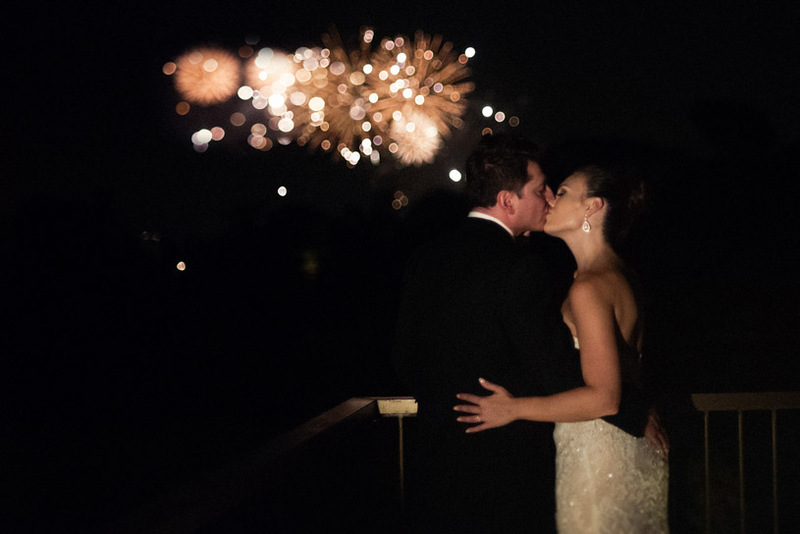 Thanks to some coincidences, we ran to the rooftop to catch the last lights of the beautiful and unexpected fireworks. 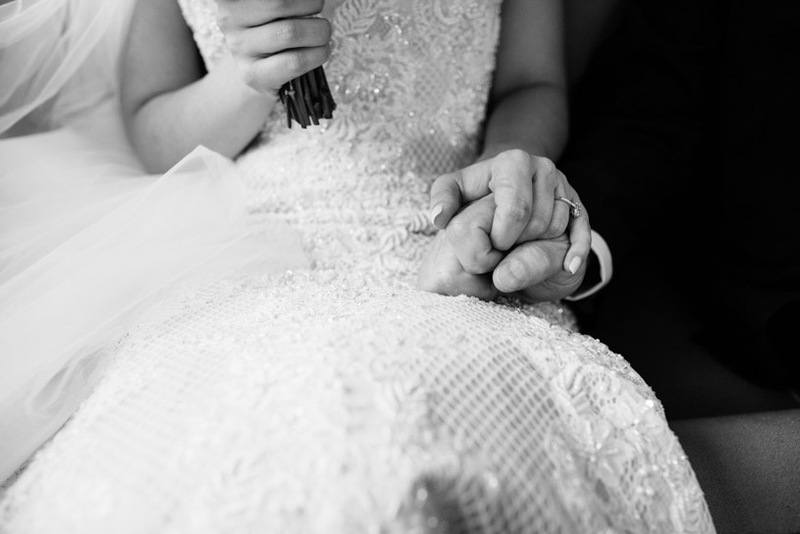 For us, being wedding photographers , the moments imprinted in our minds are never the ones we expect, they’re instead the most authentic ones emerging in between bigger plans and this wedding surprised us since the very beginning and no words can explain it. 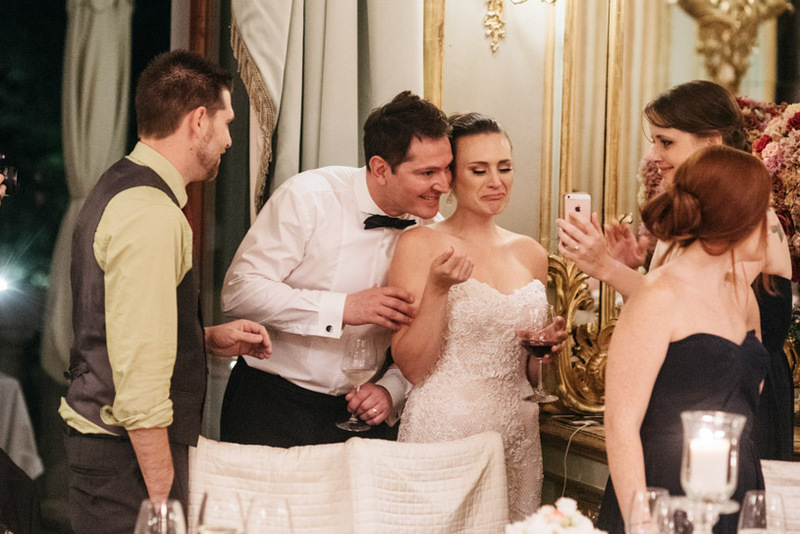 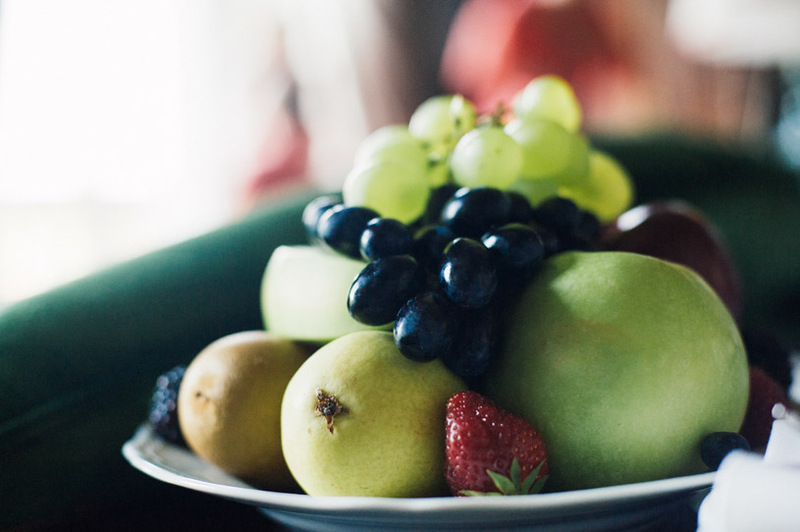 Photos will surely do it better. 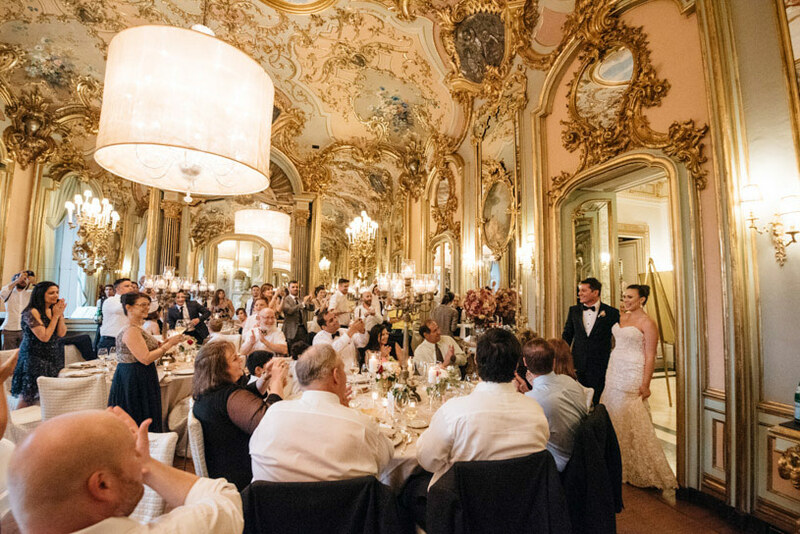 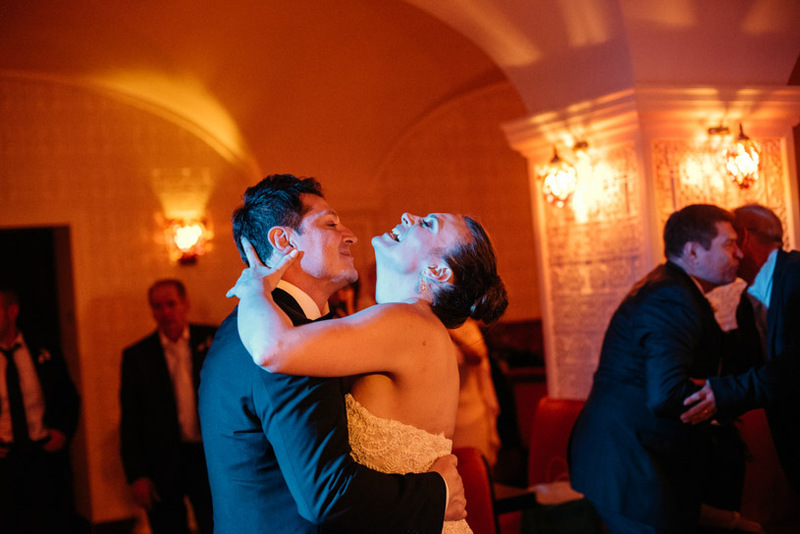 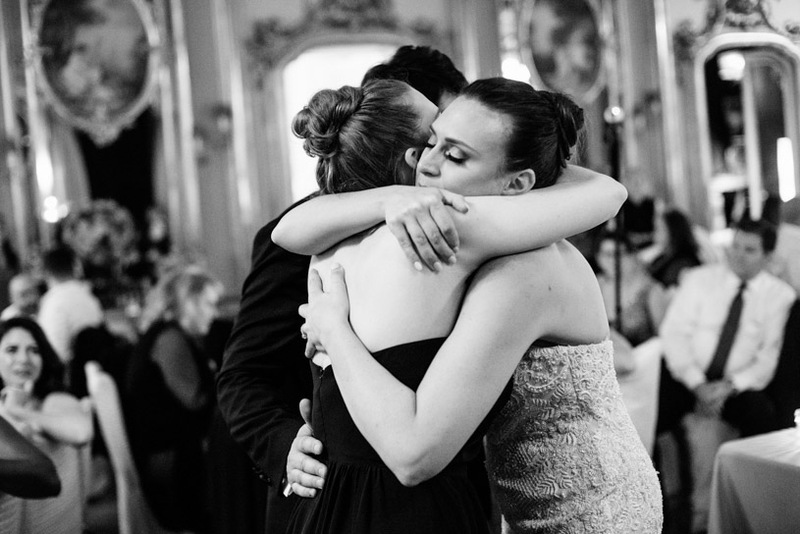 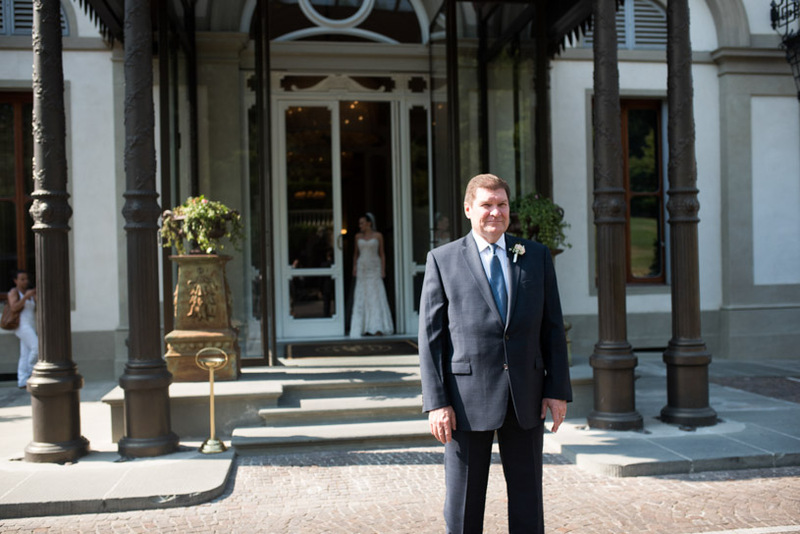 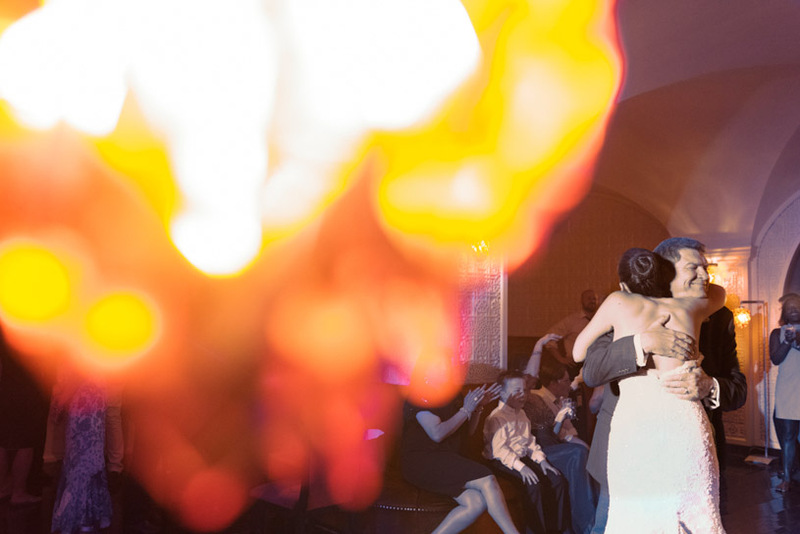 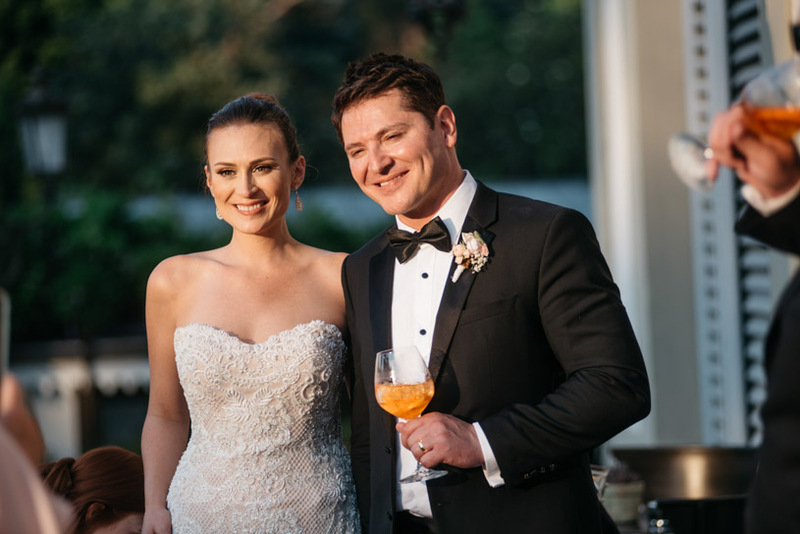 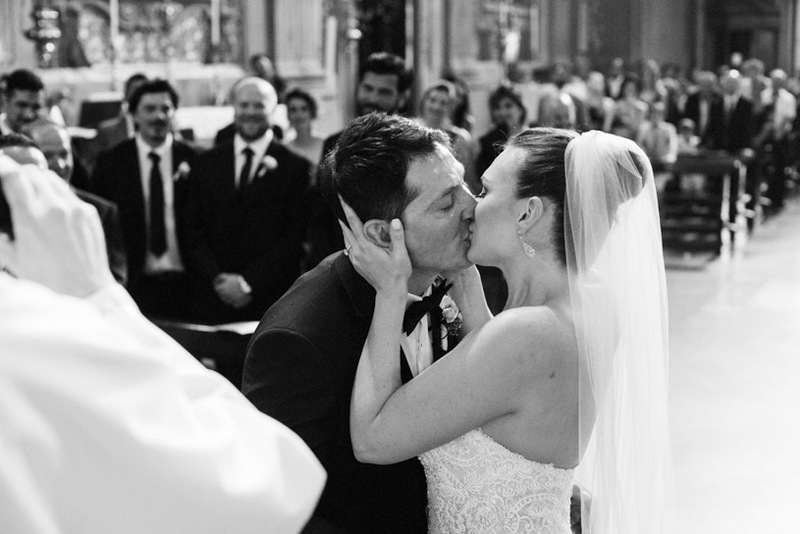 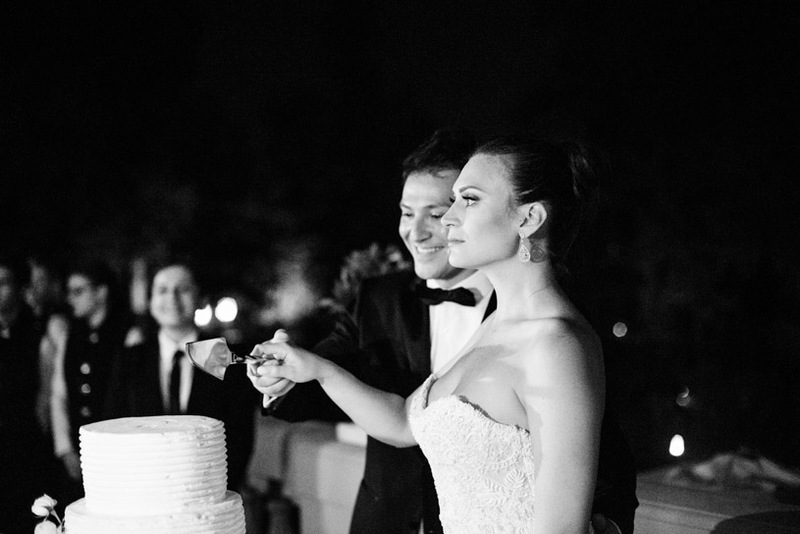 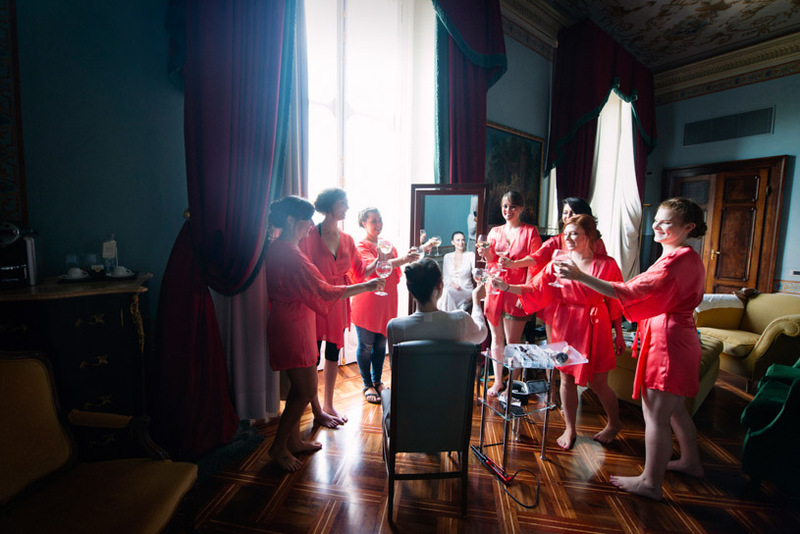 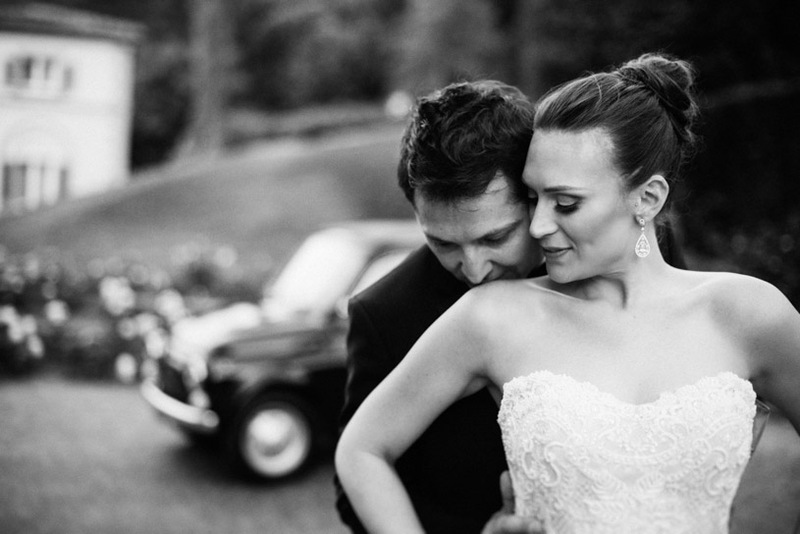 You just can’t miss this wedding in Villa Cora that surely stands out for quality.